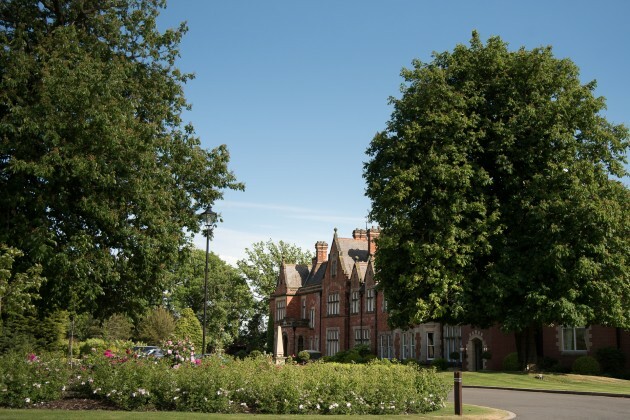 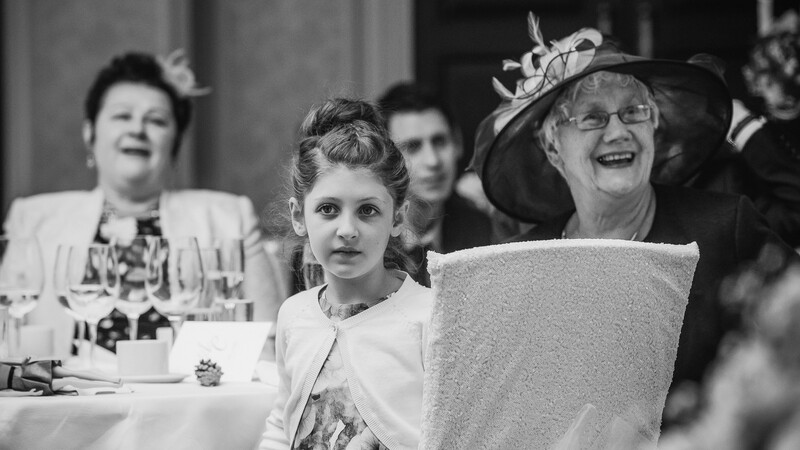 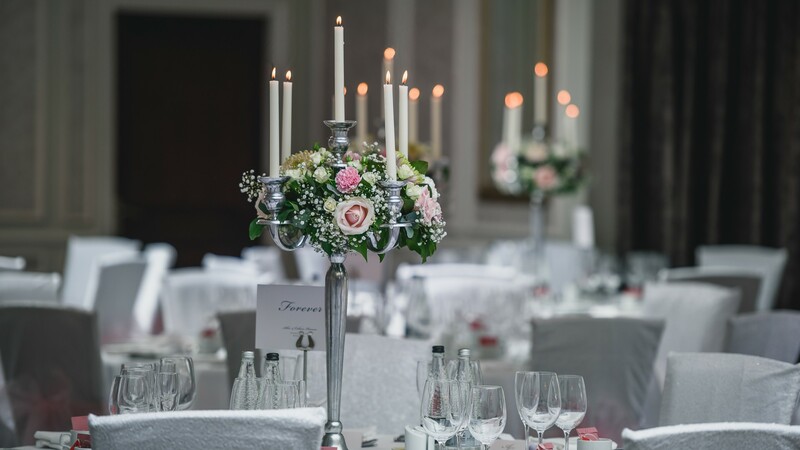 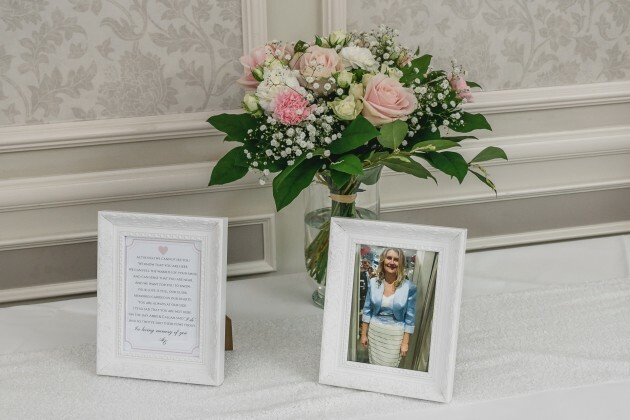 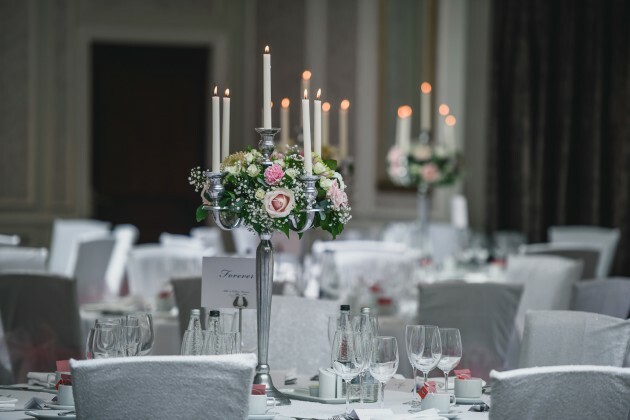 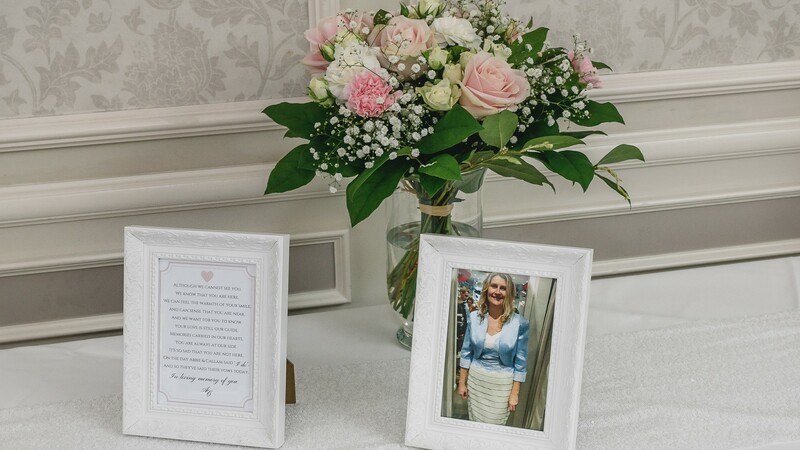 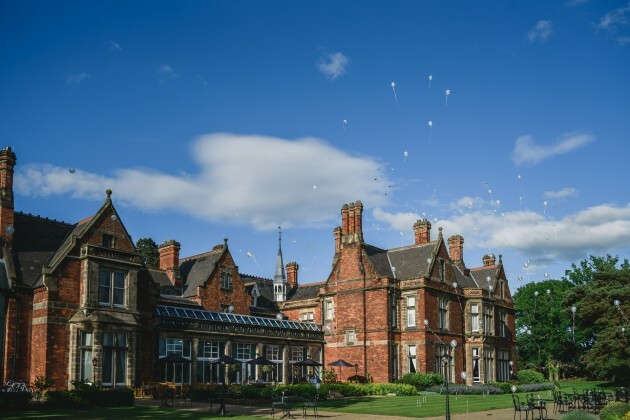 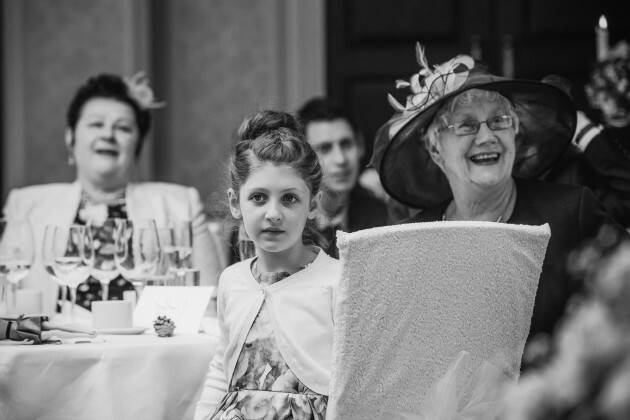 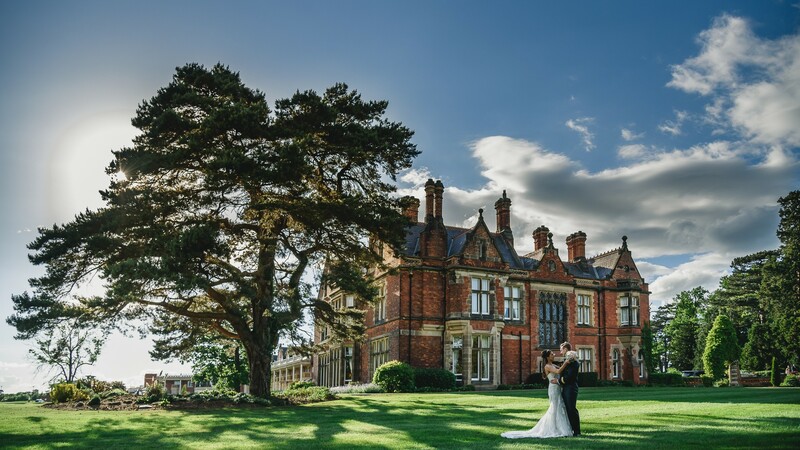 Rockliffe Hall in Hurworth is certainly a five star resort and the perfect location for a wedding. 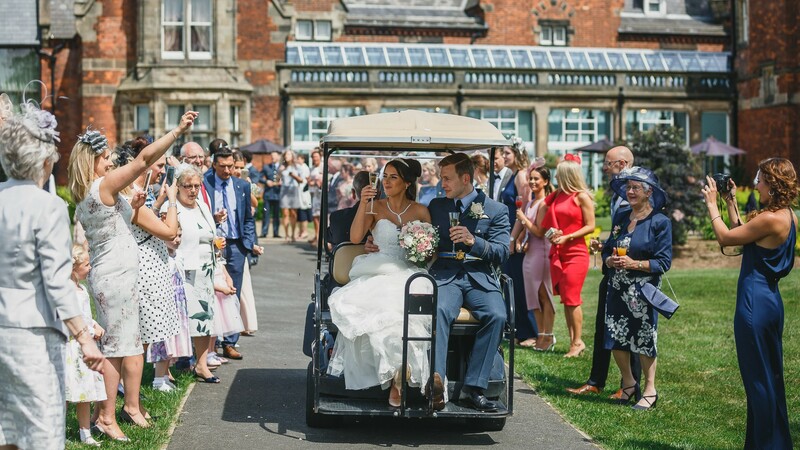 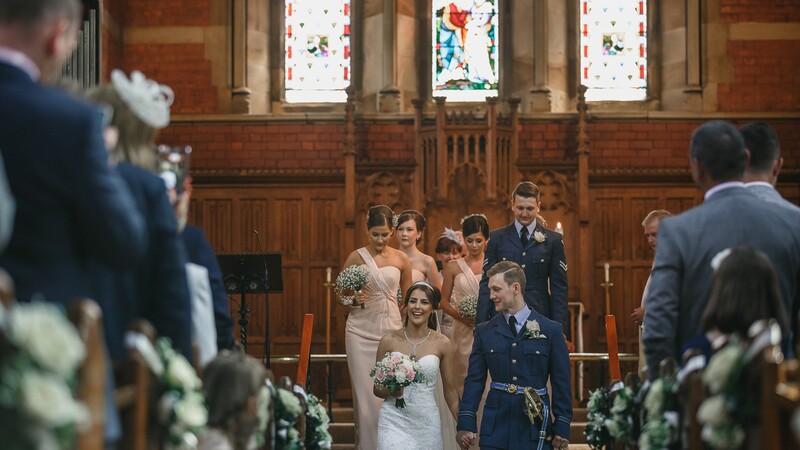 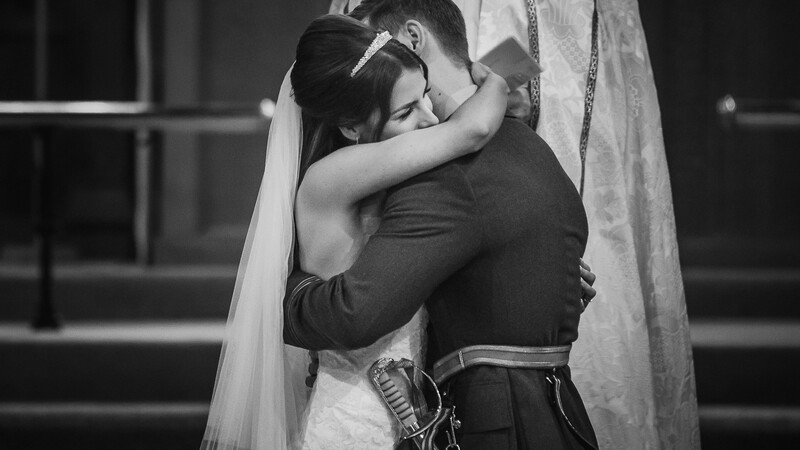 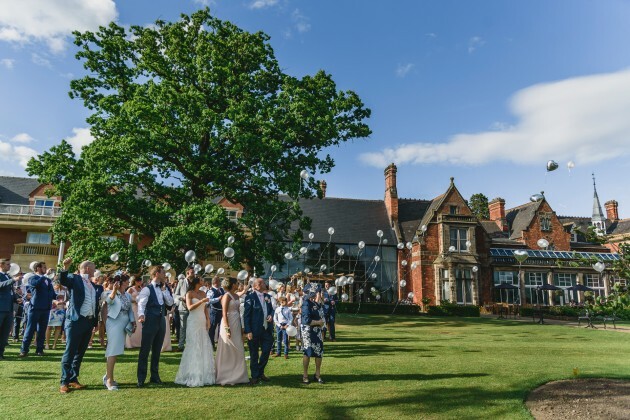 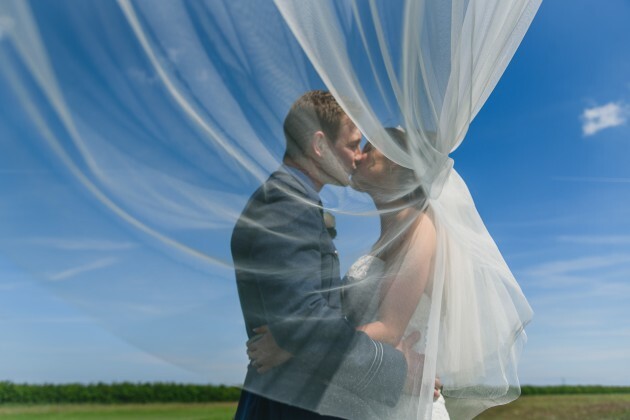 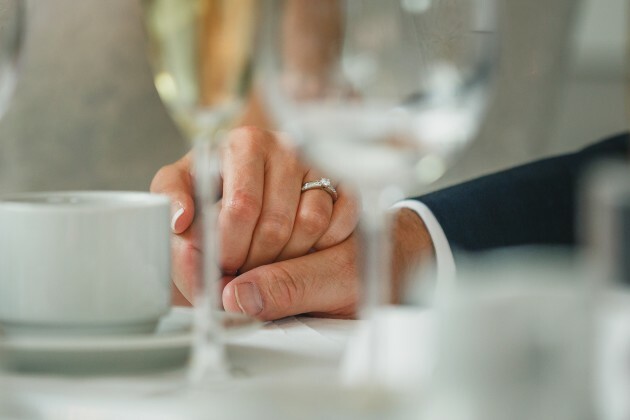 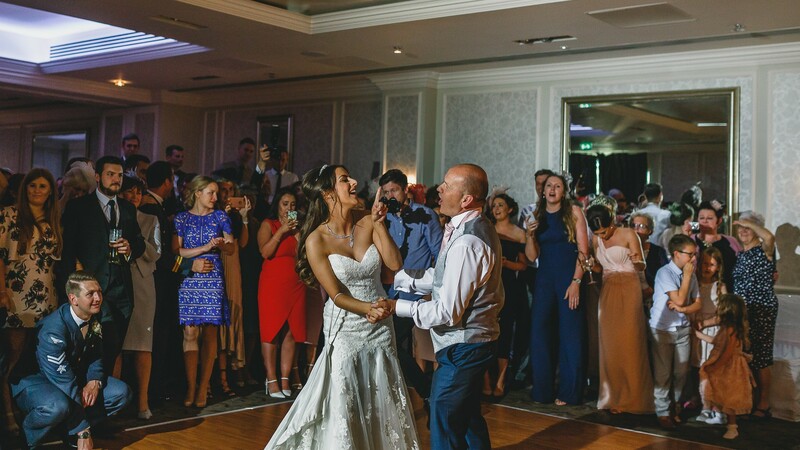 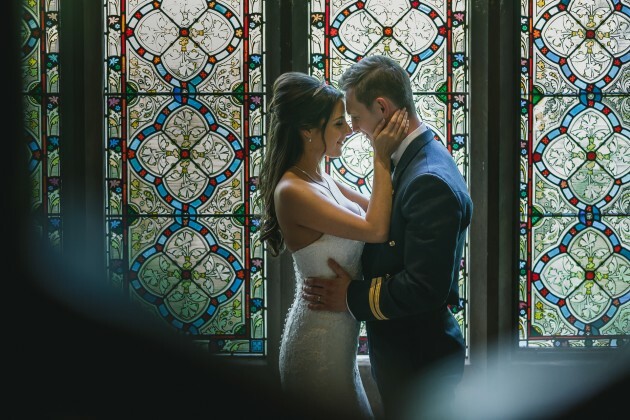 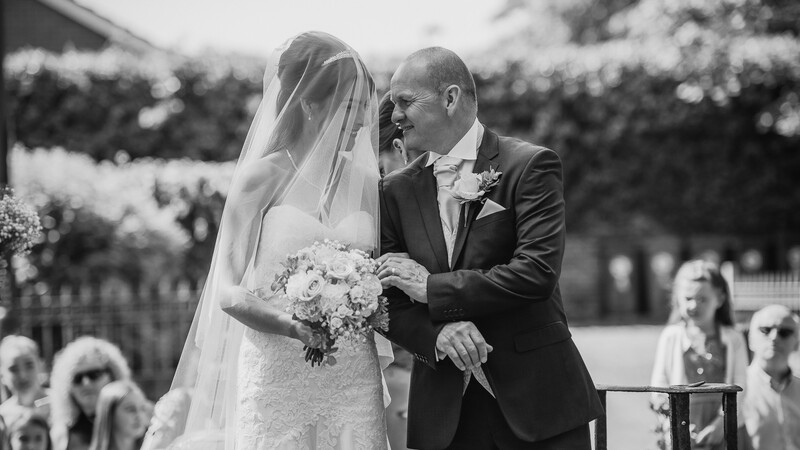 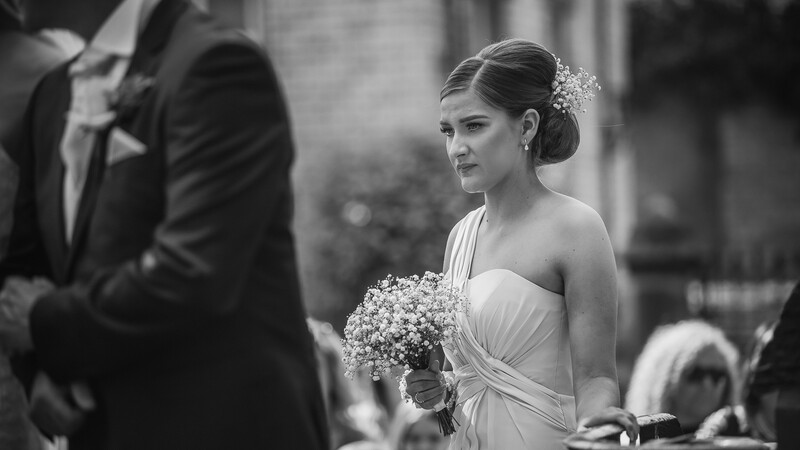 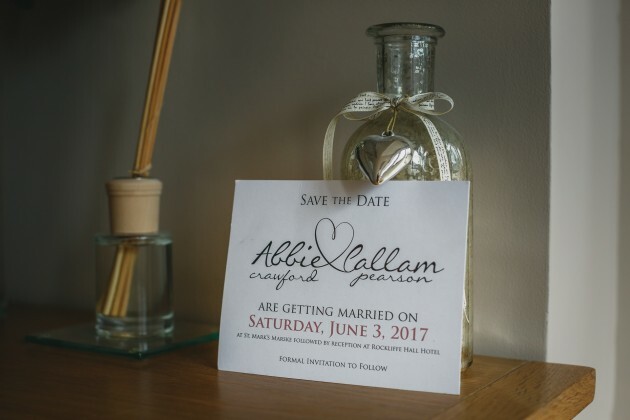 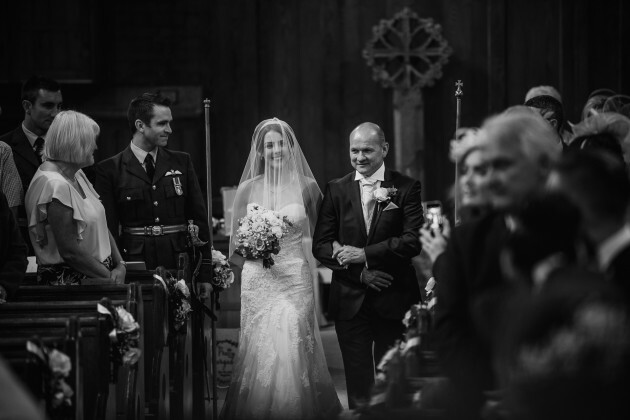 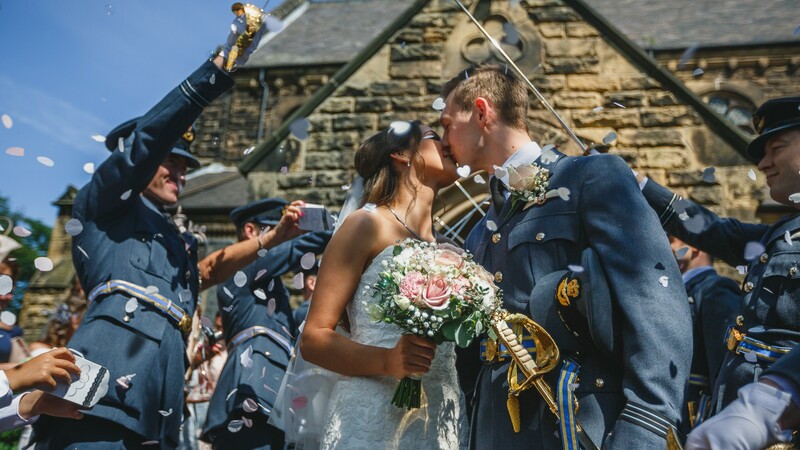 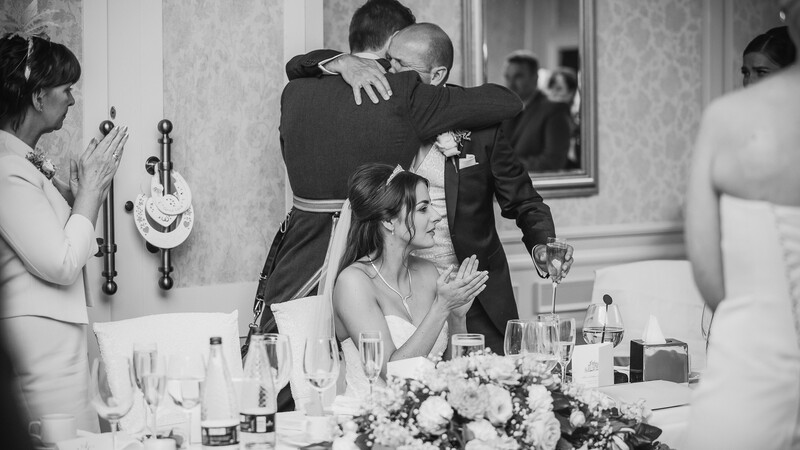 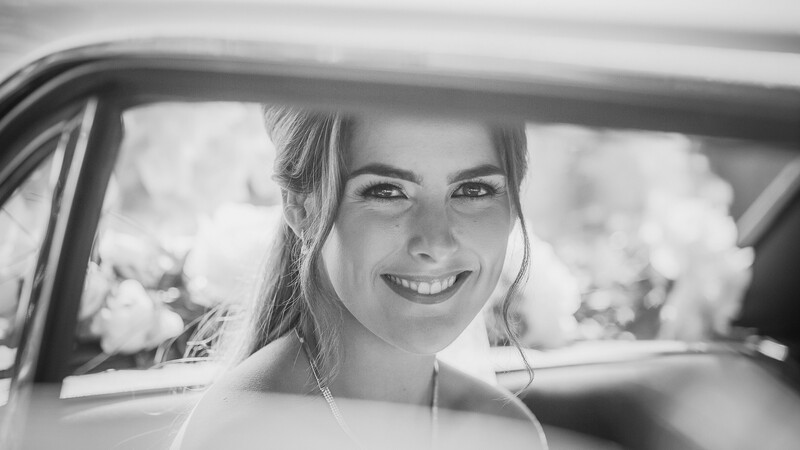 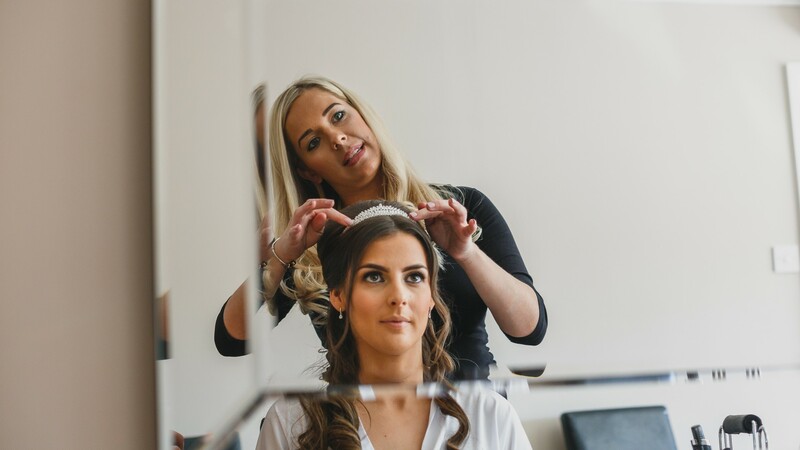 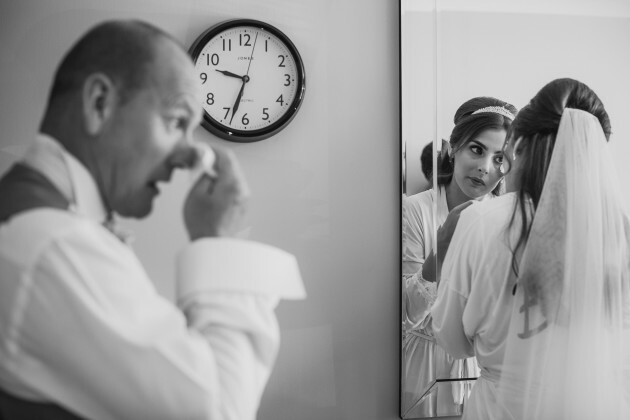 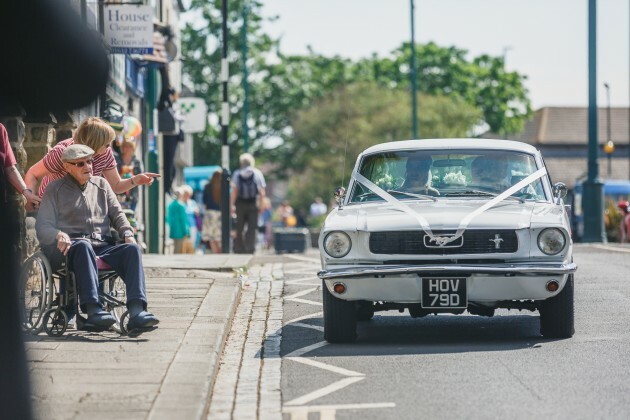 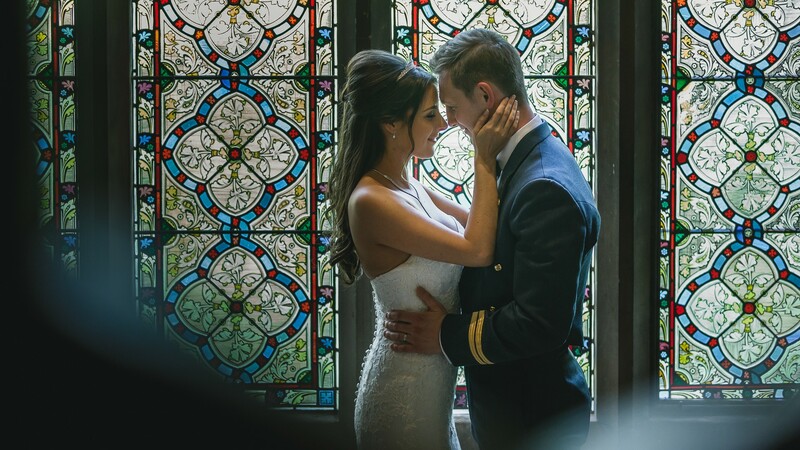 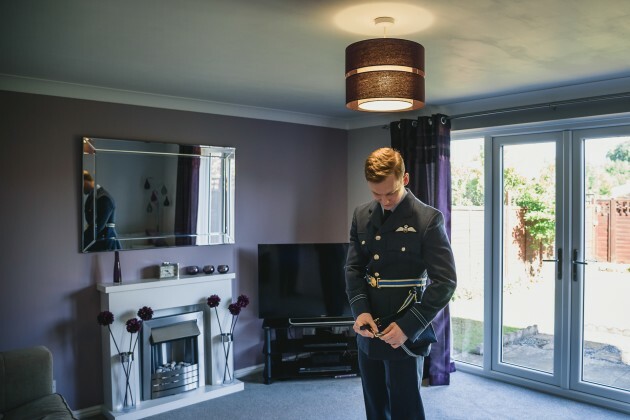 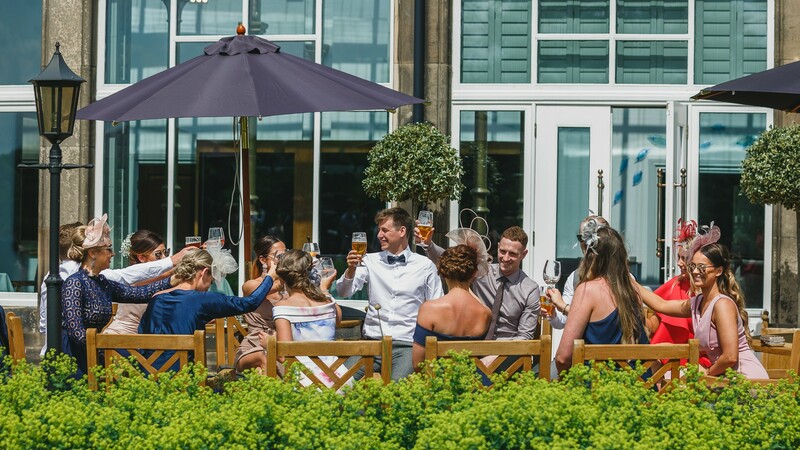 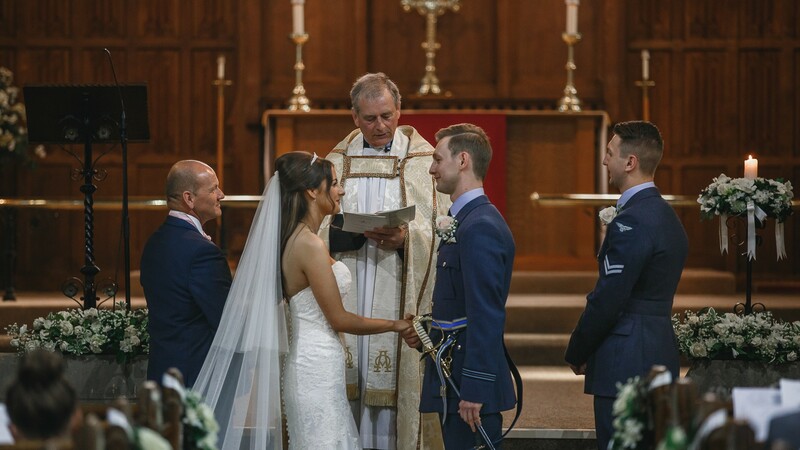 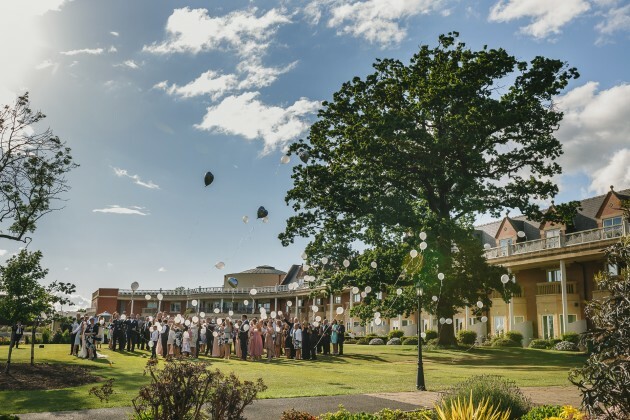 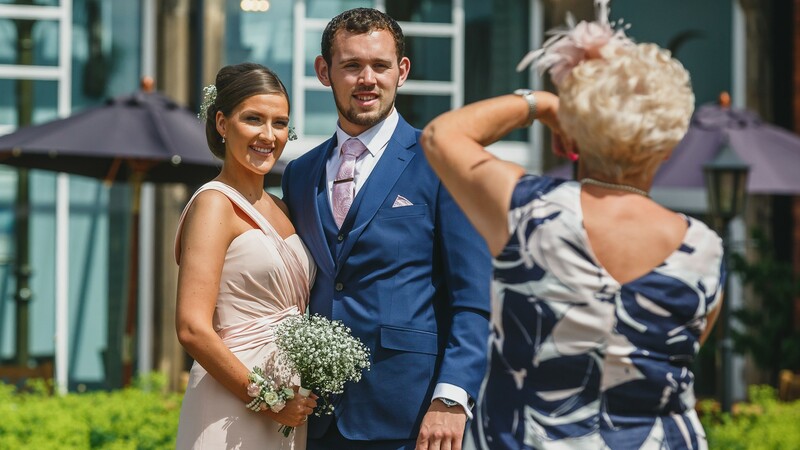 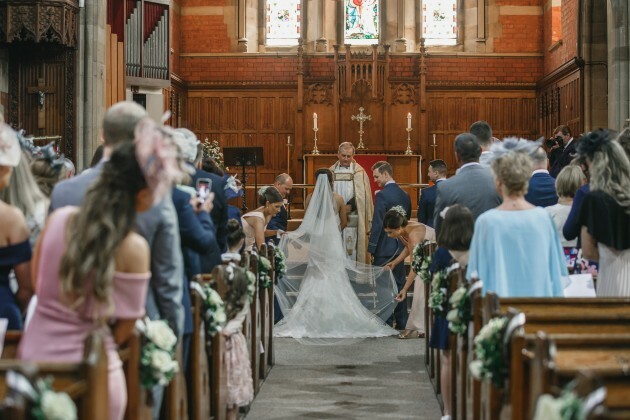 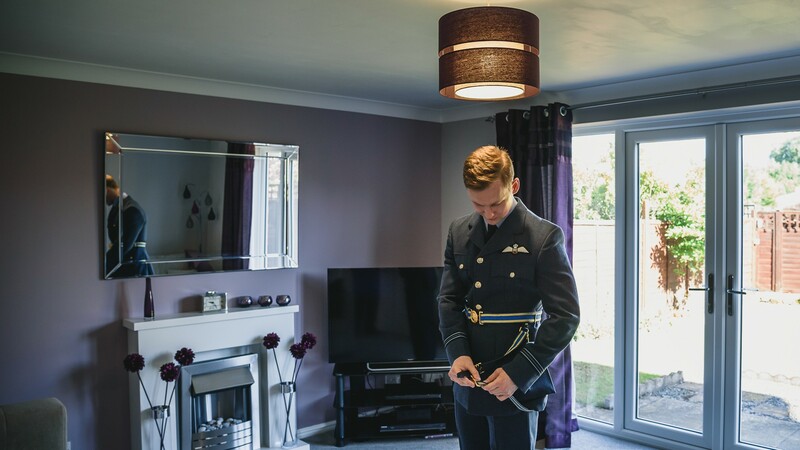 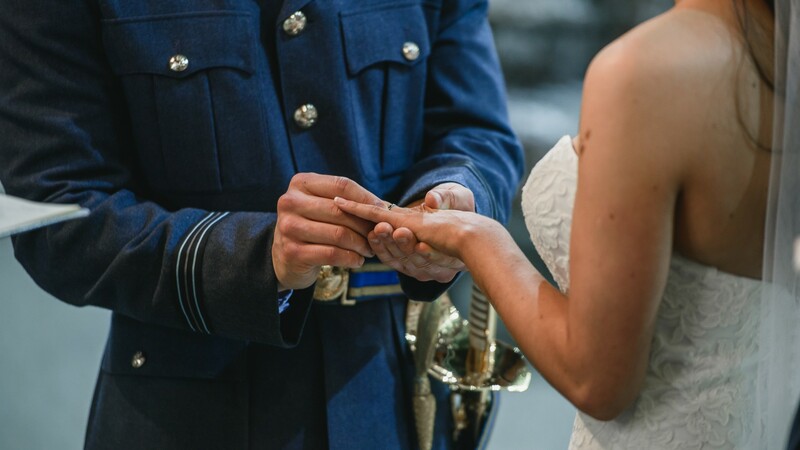 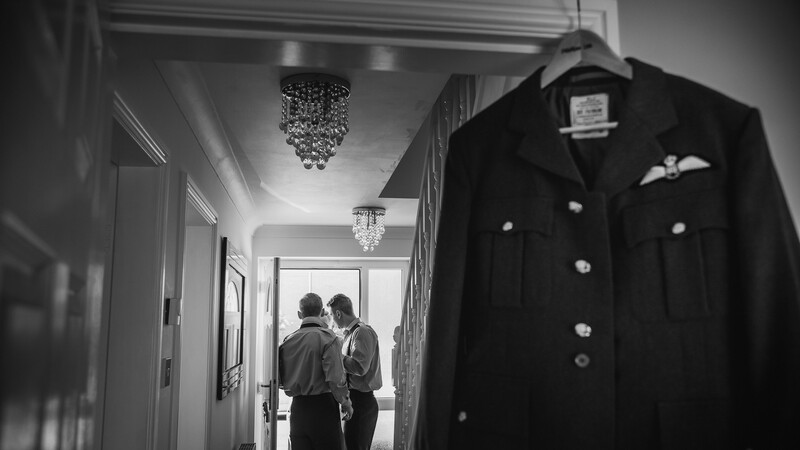 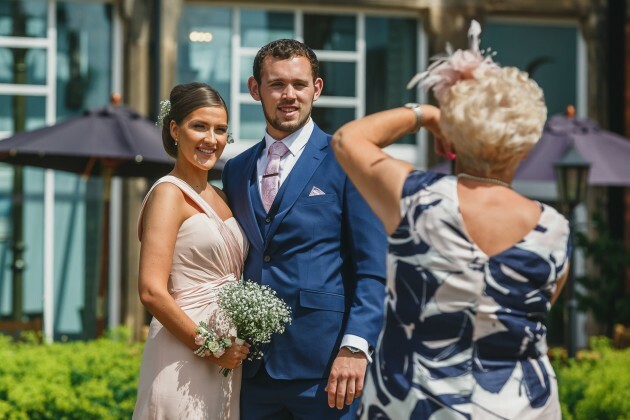 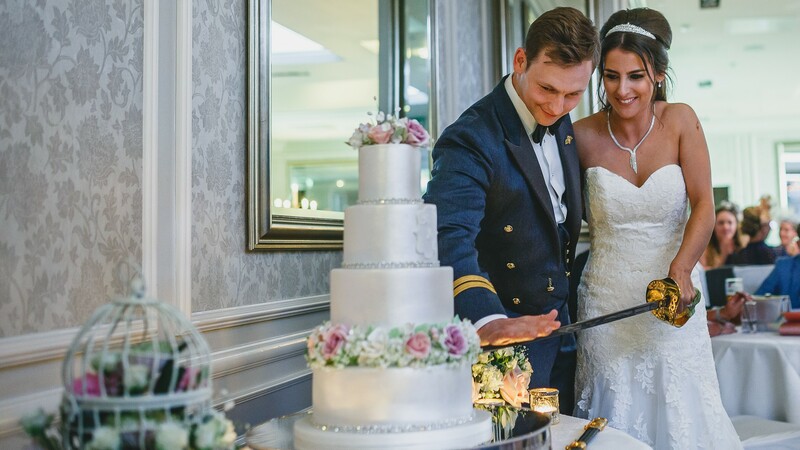 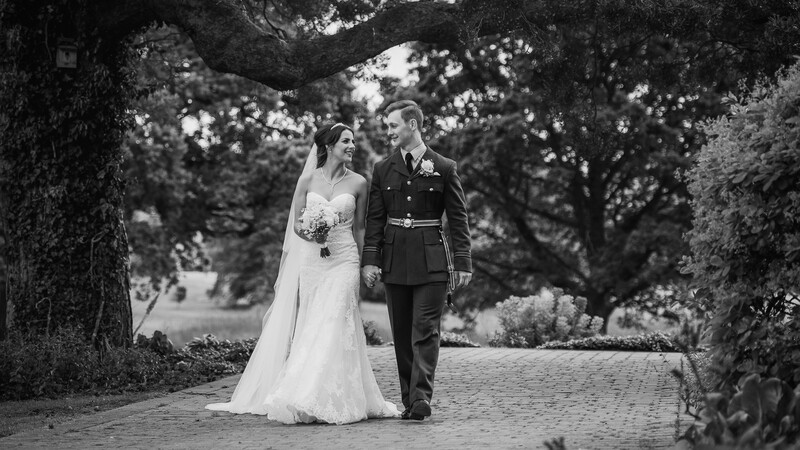 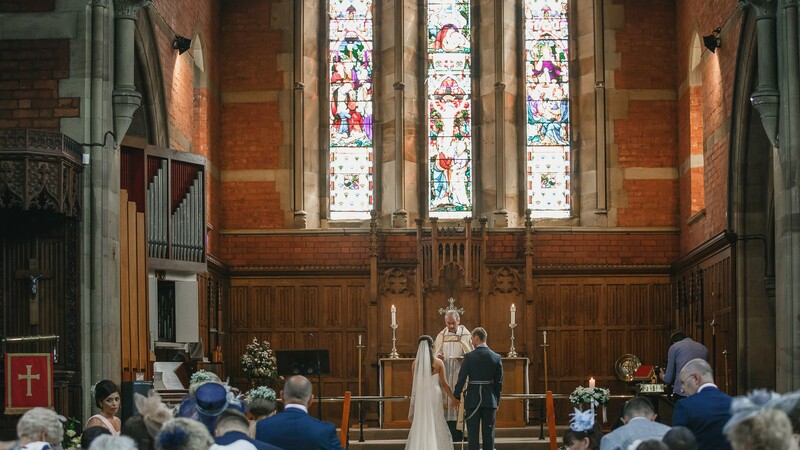 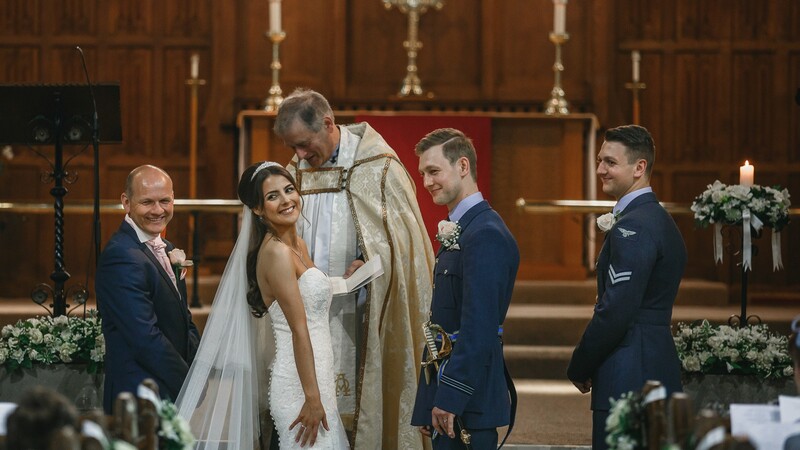 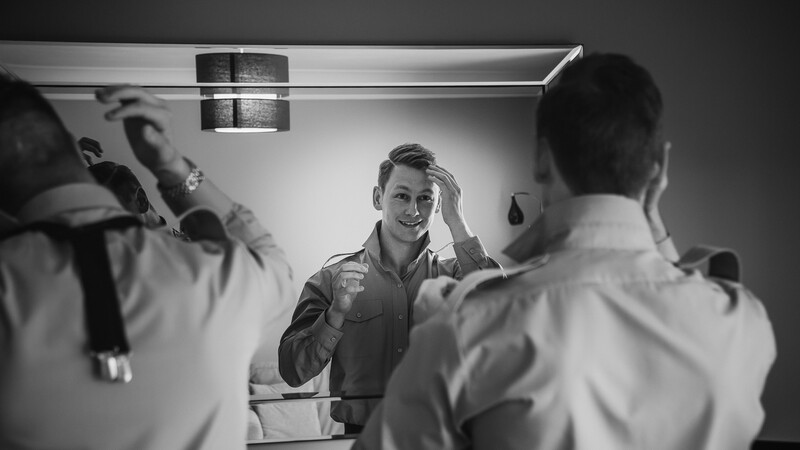 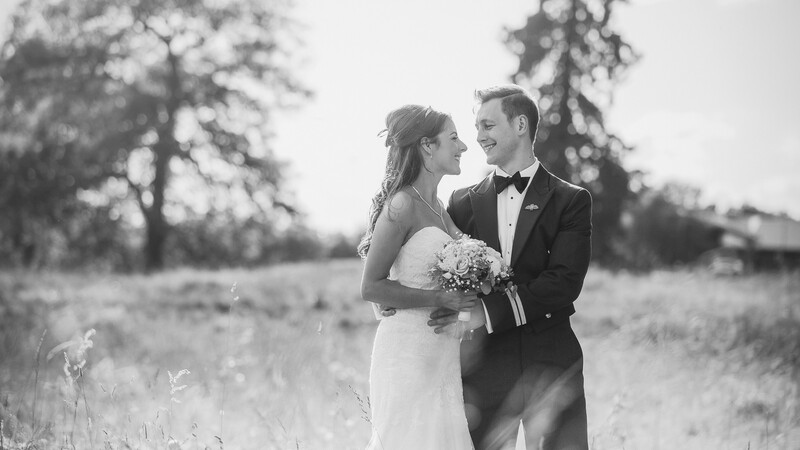 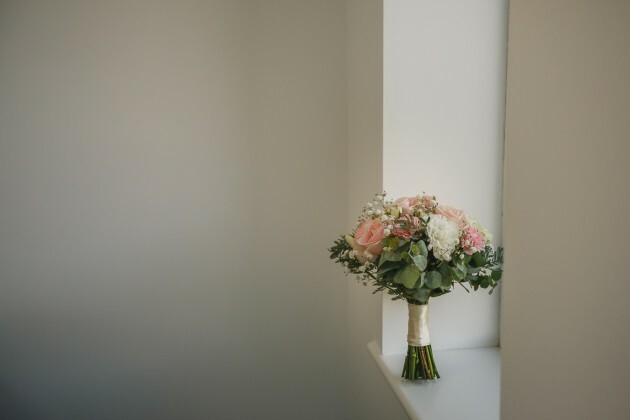 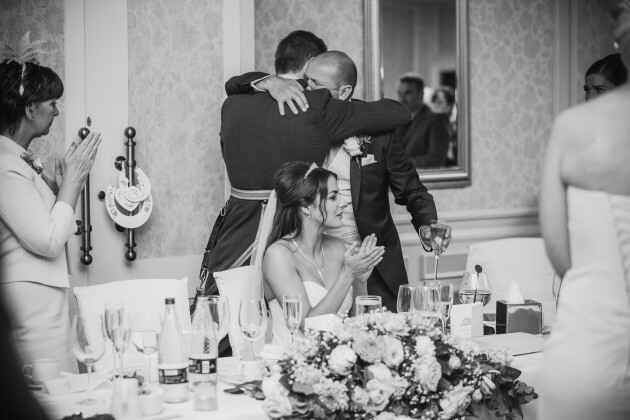 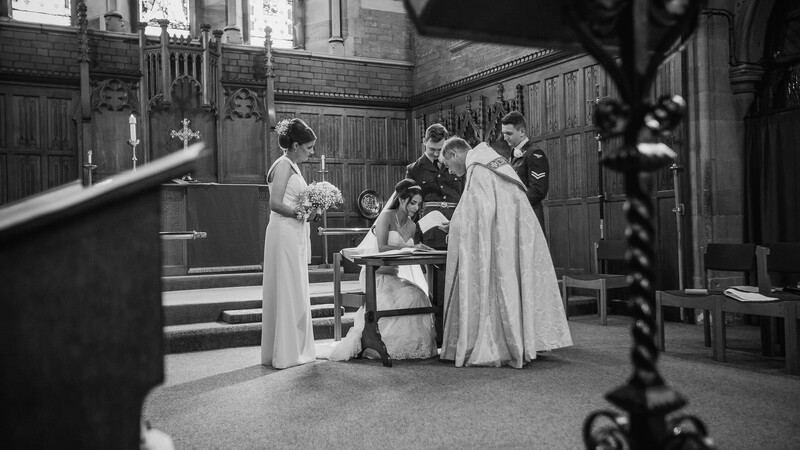 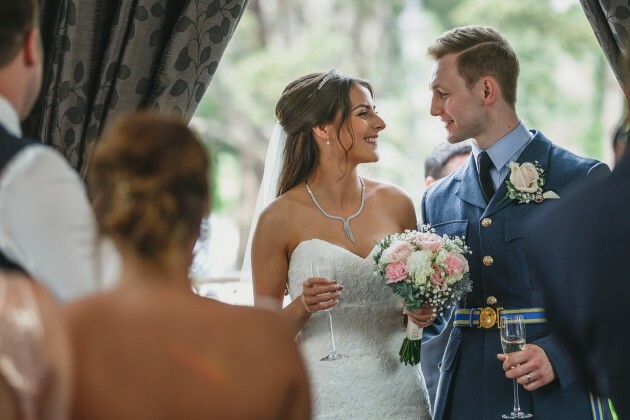 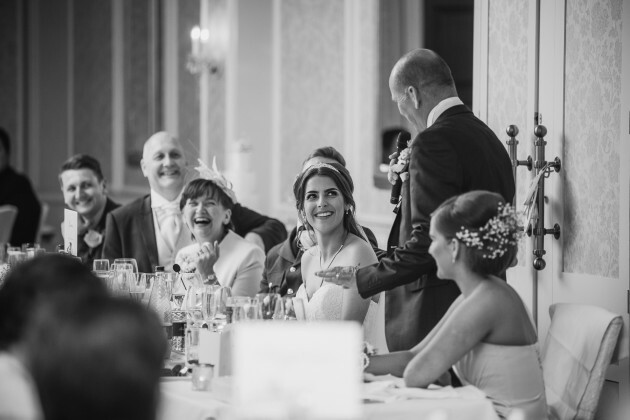 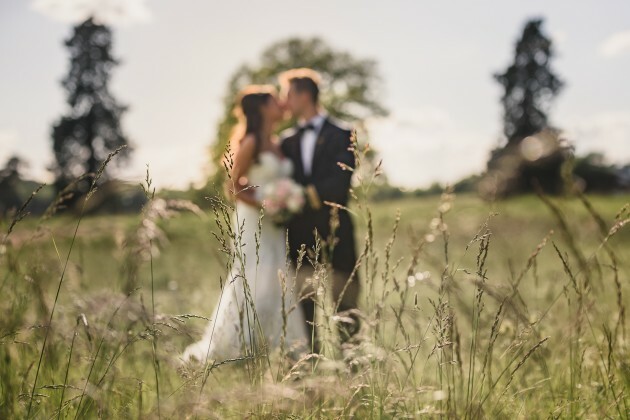 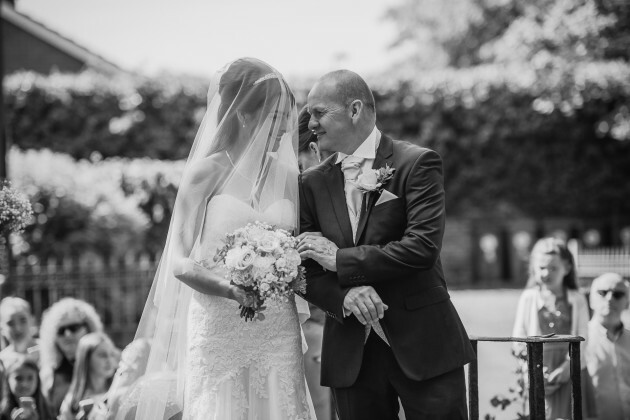 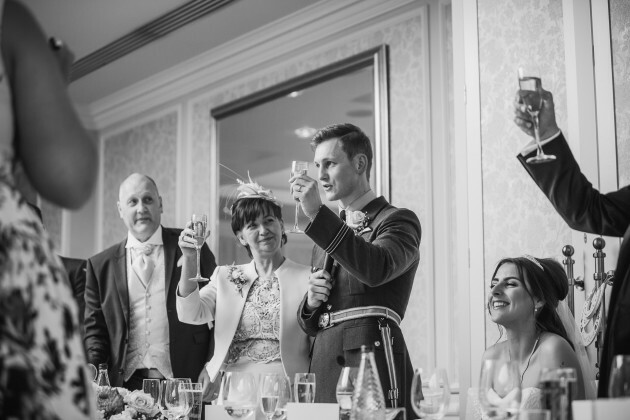 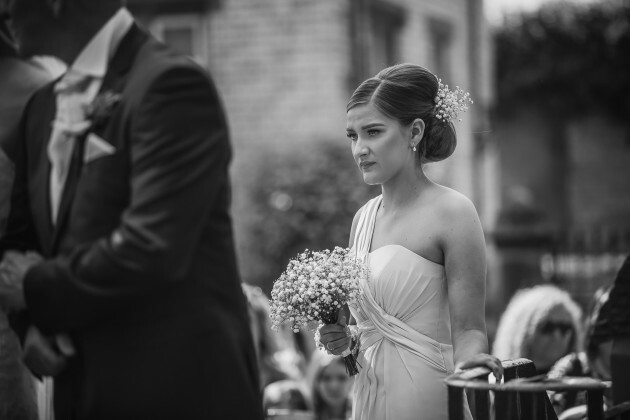 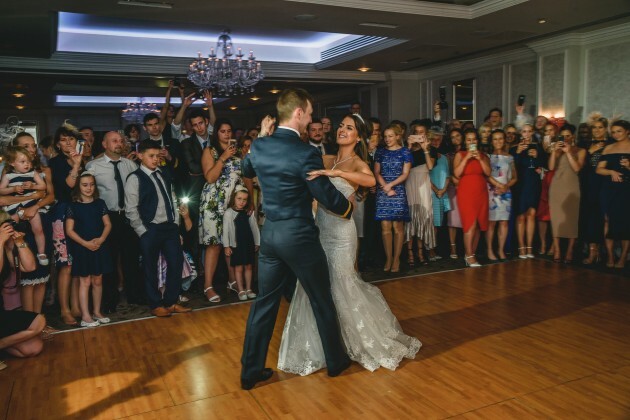 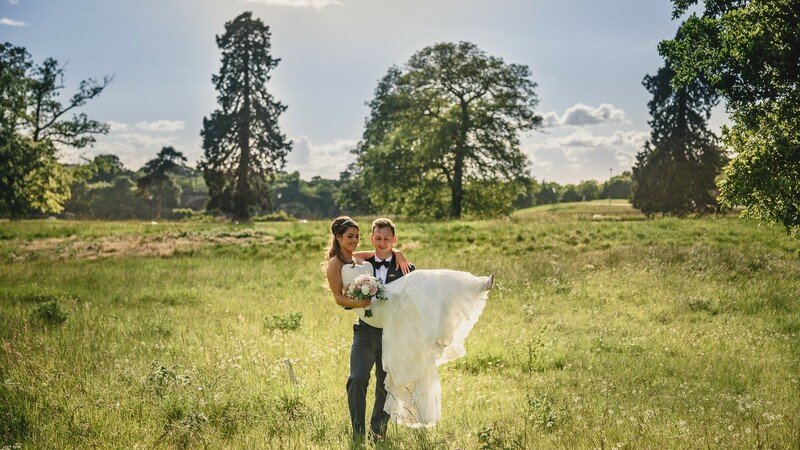 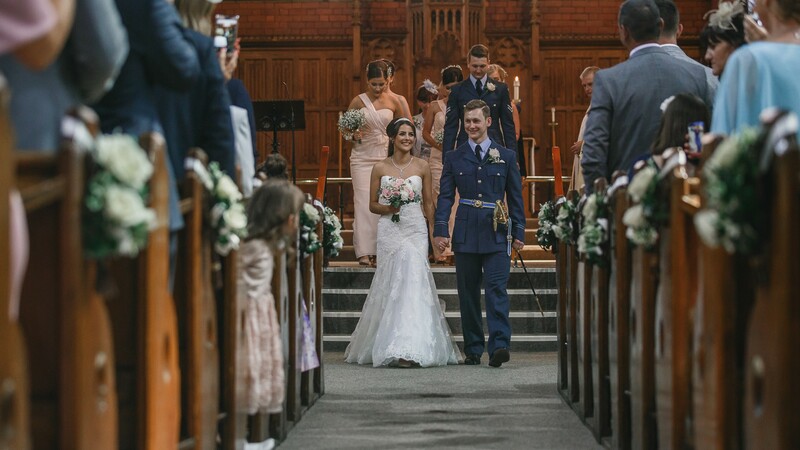 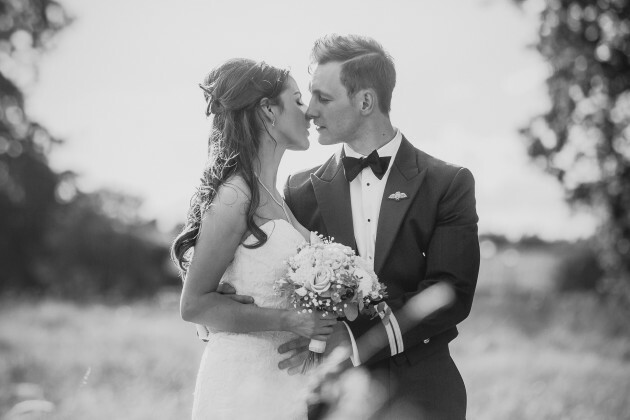 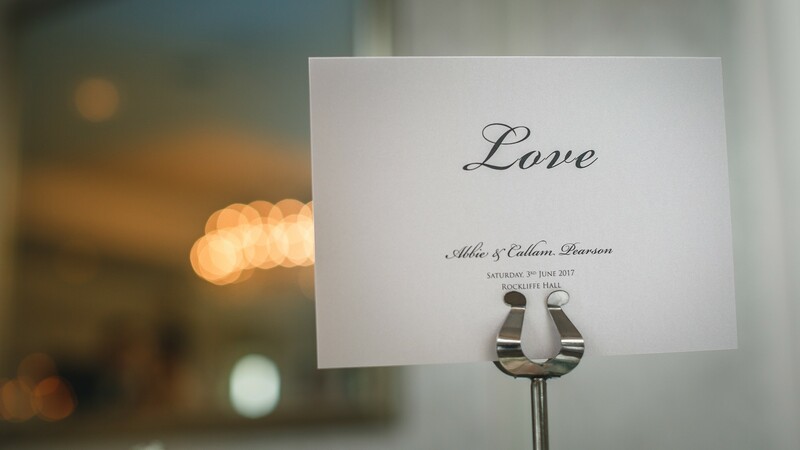 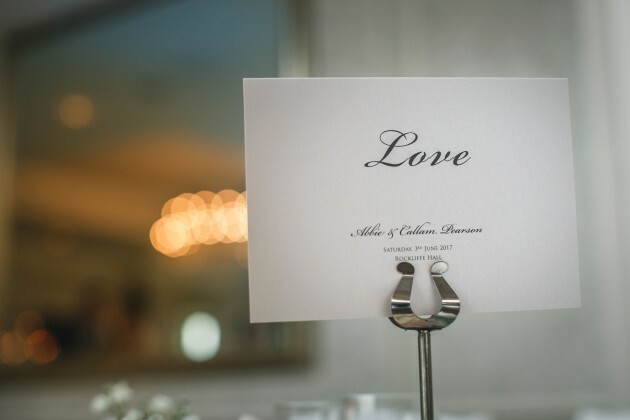 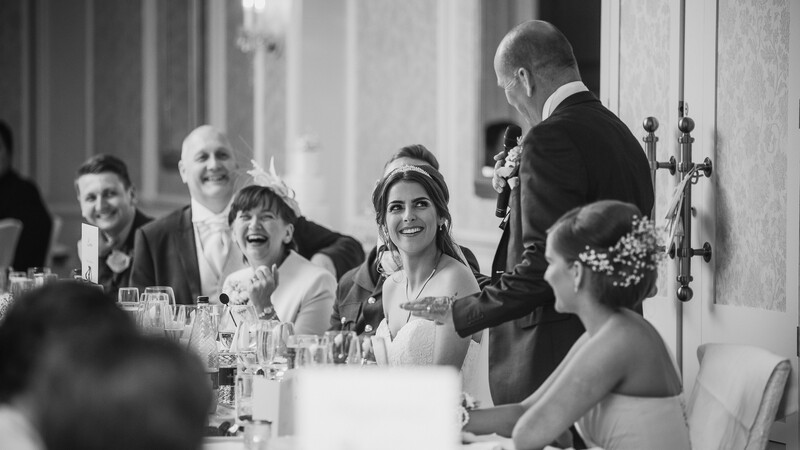 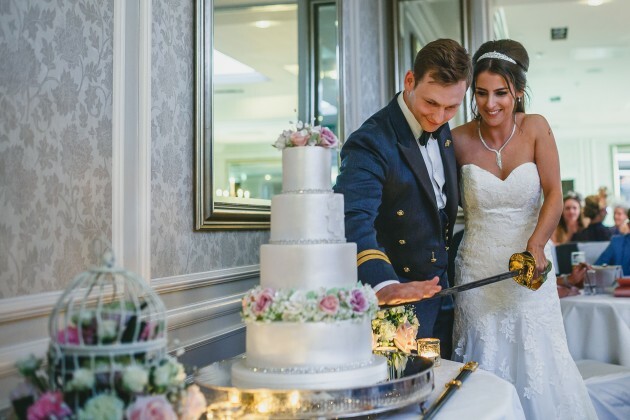 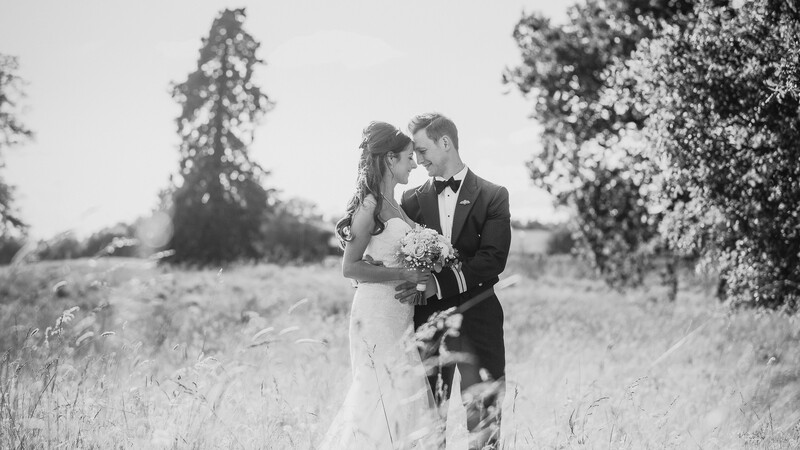 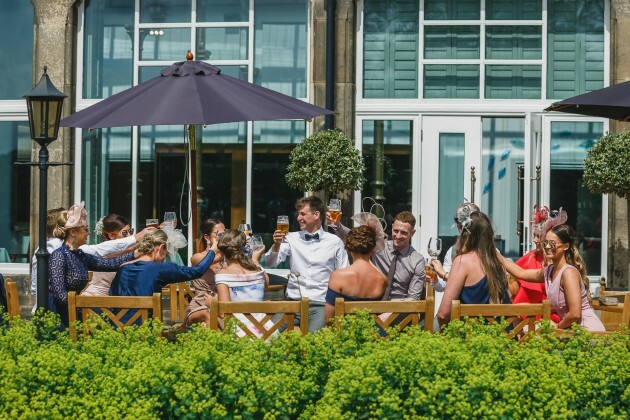 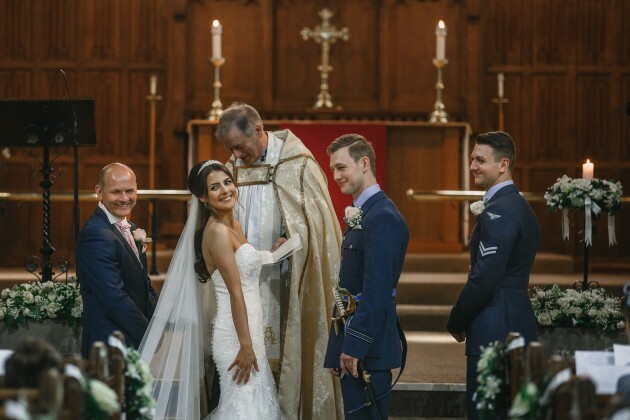 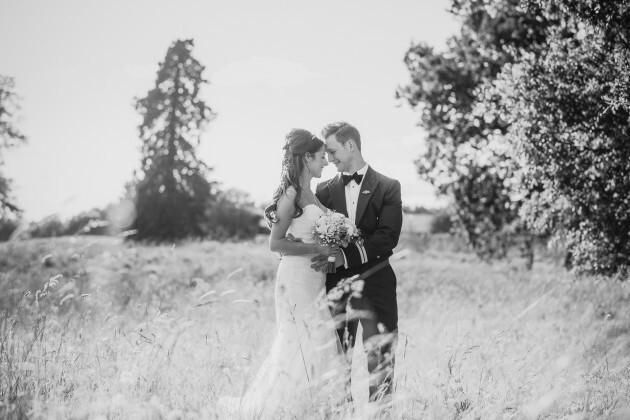 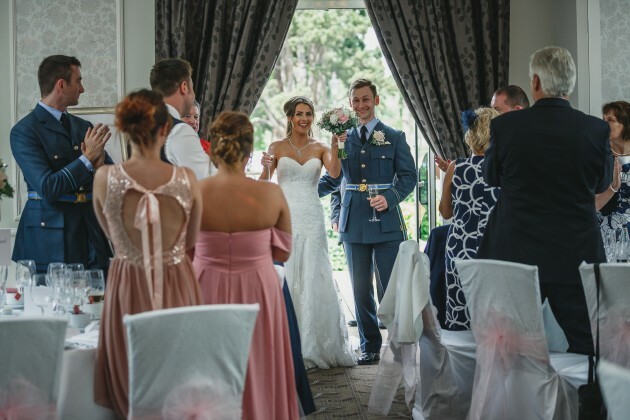 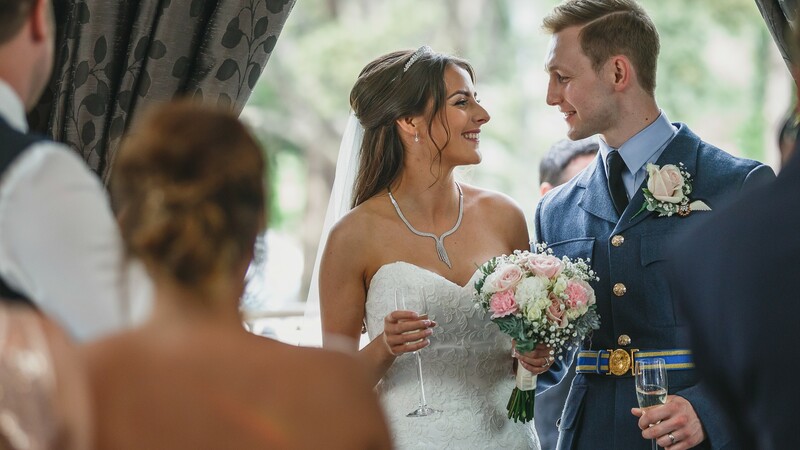 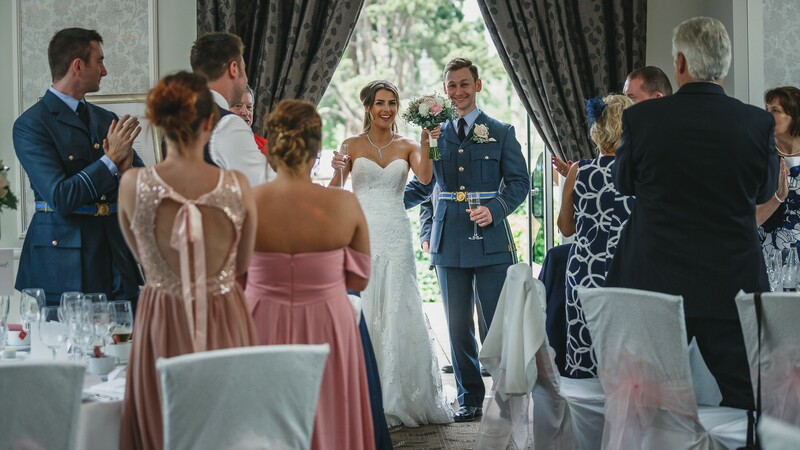 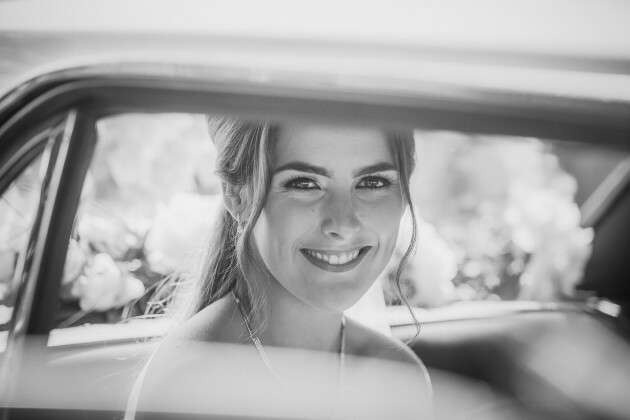 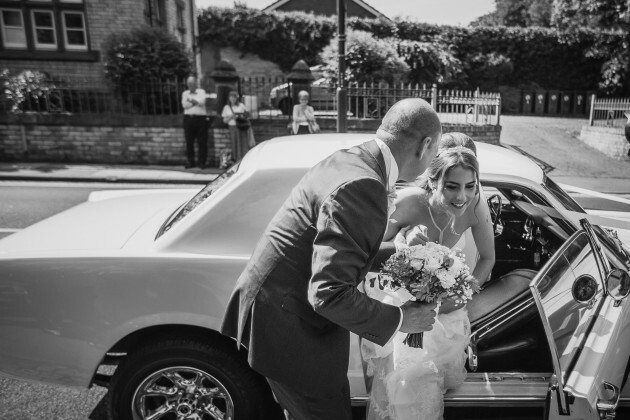 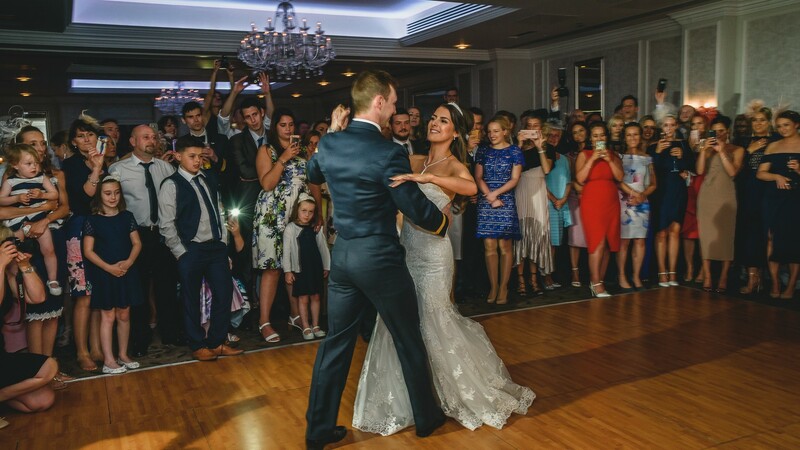 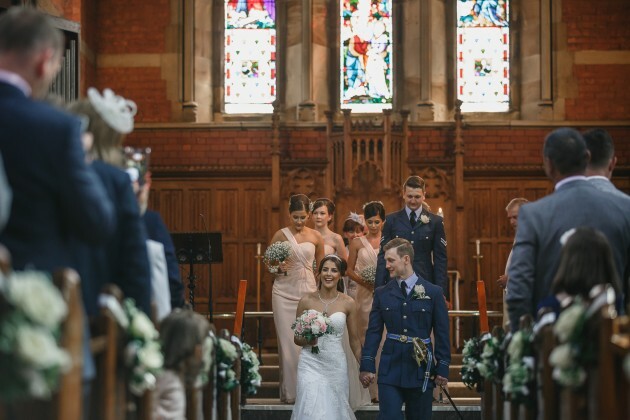 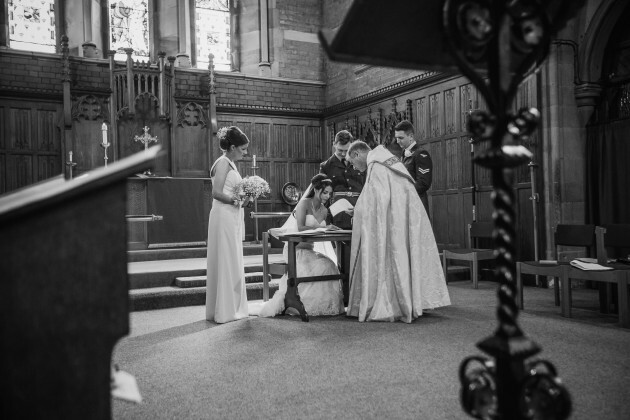 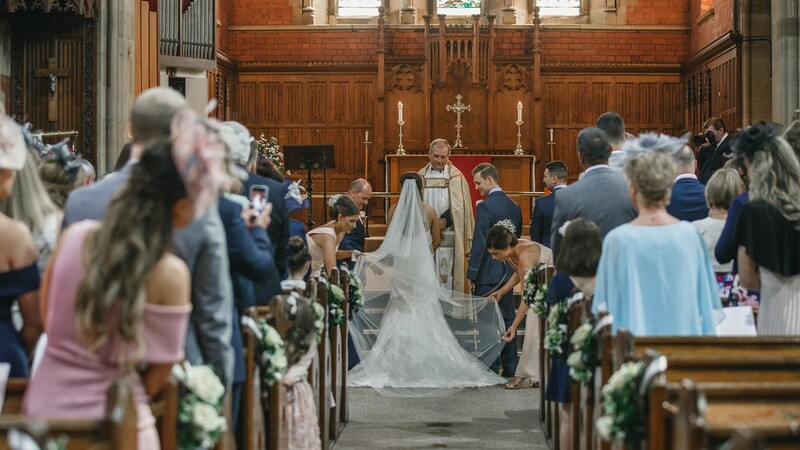 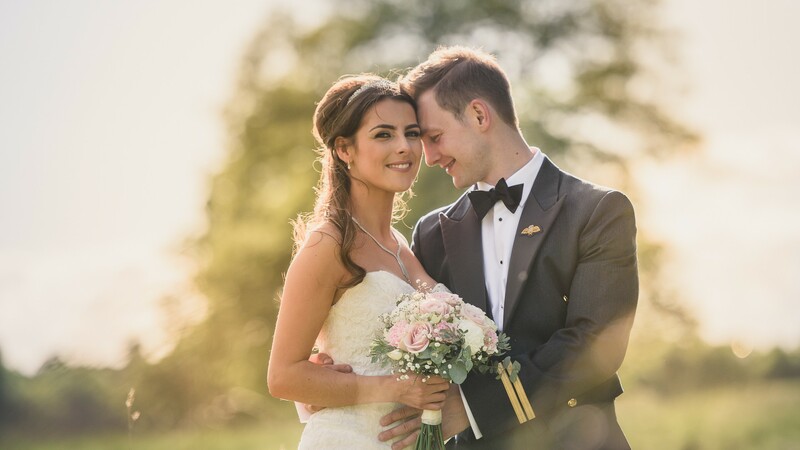 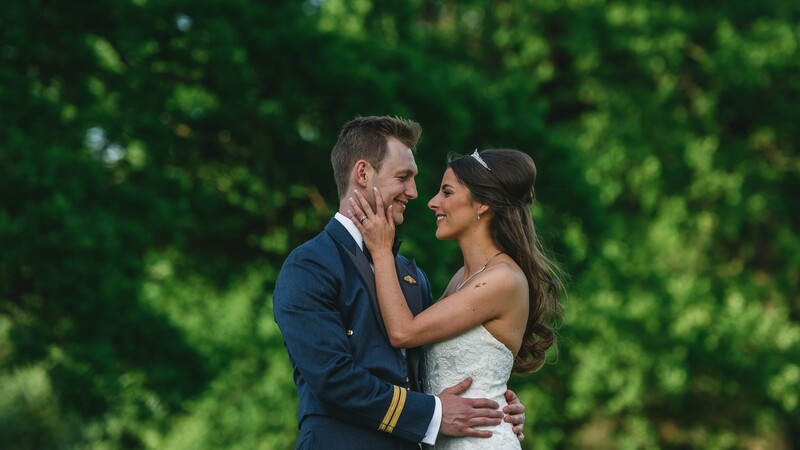 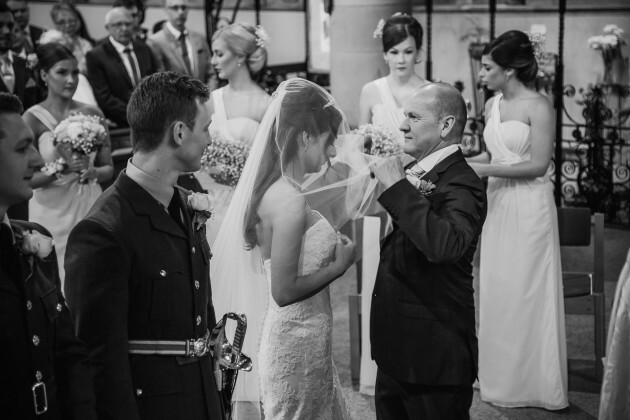 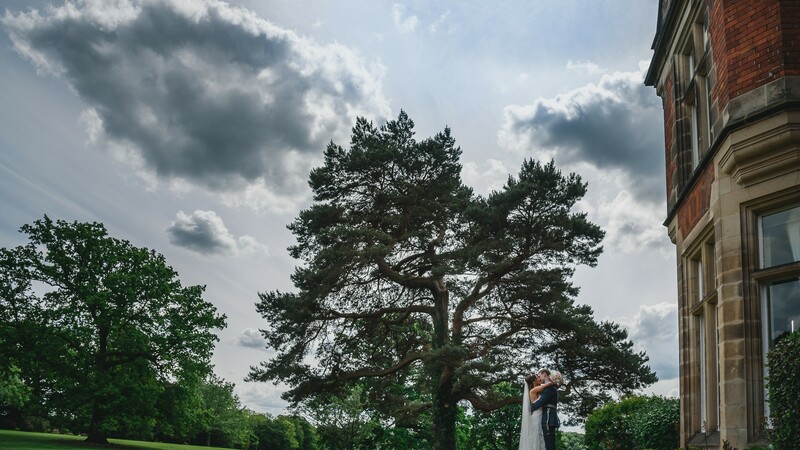 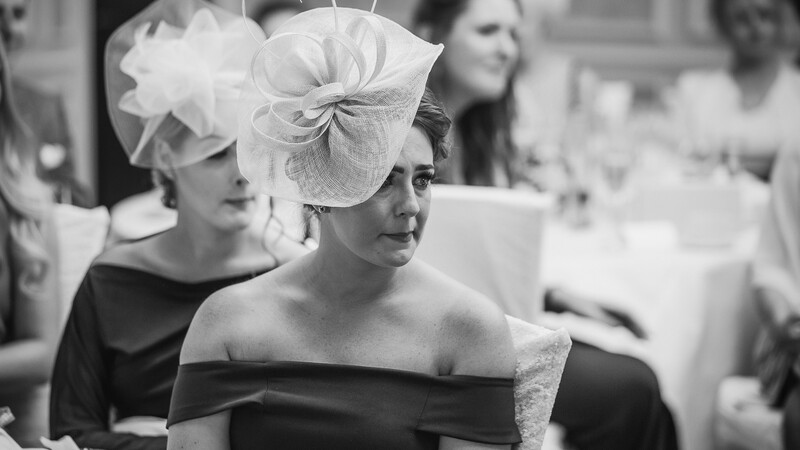 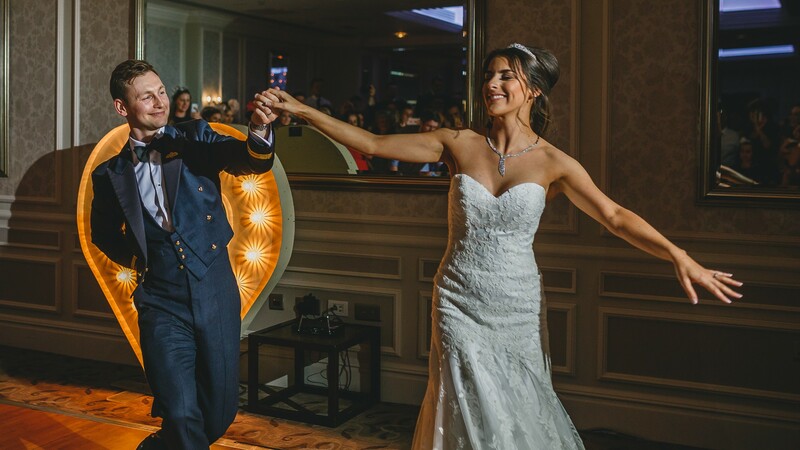 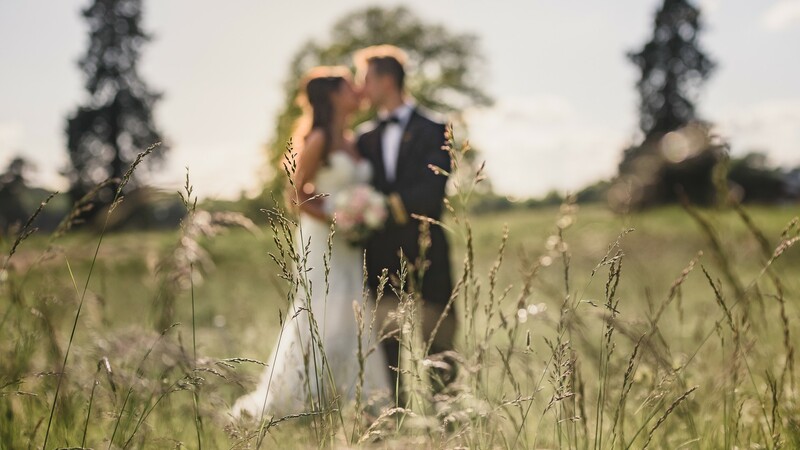 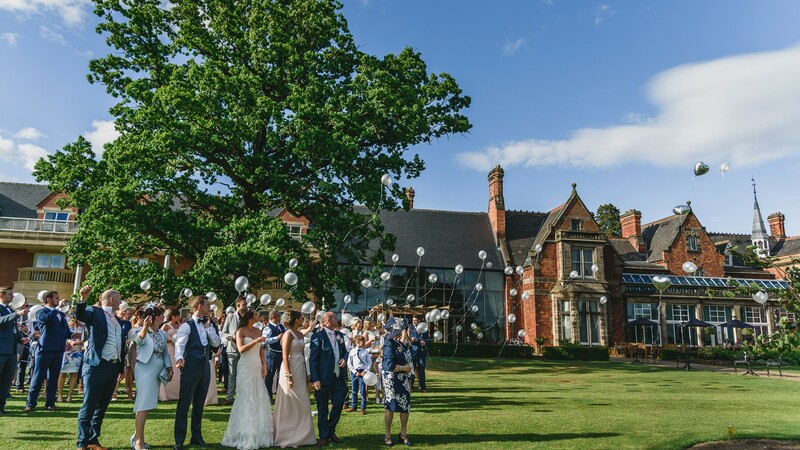 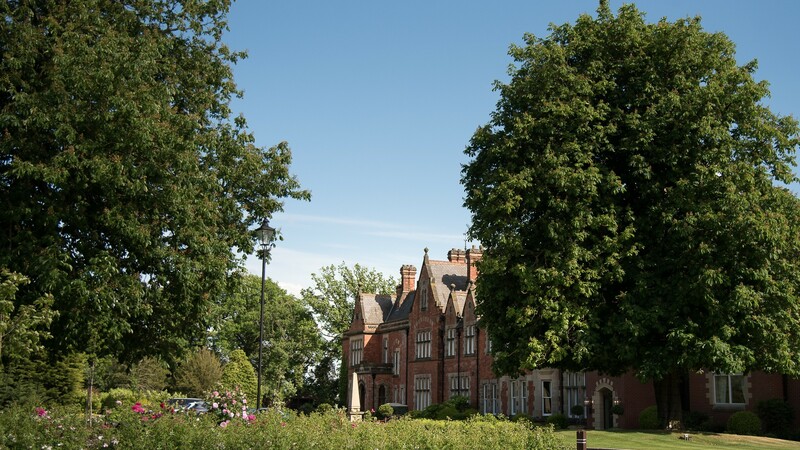 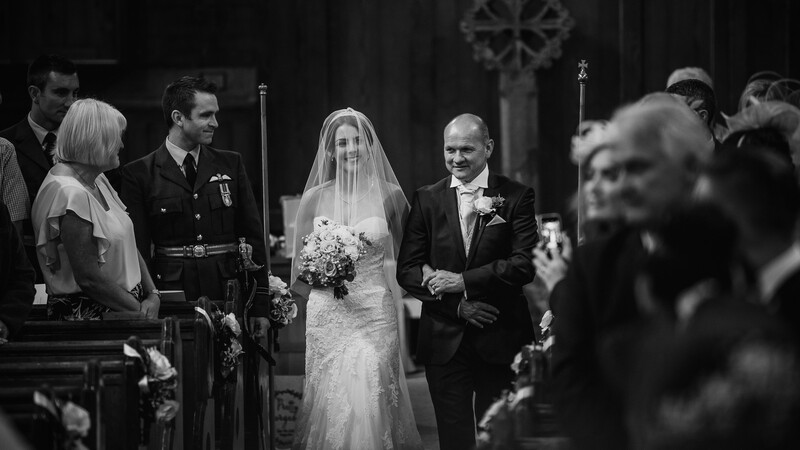 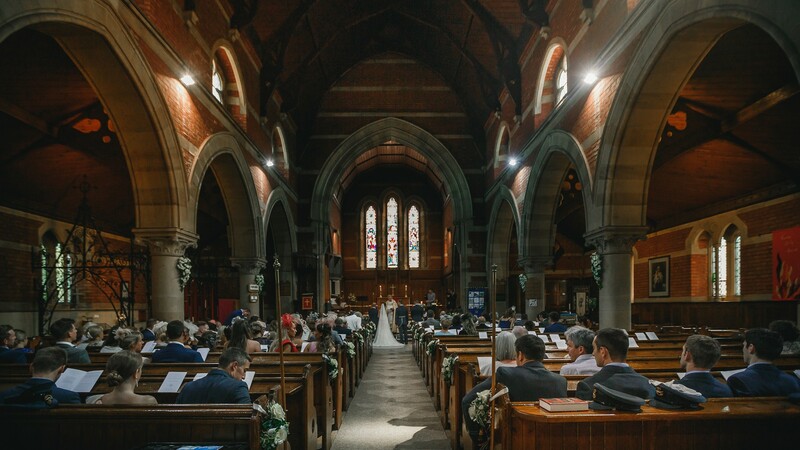 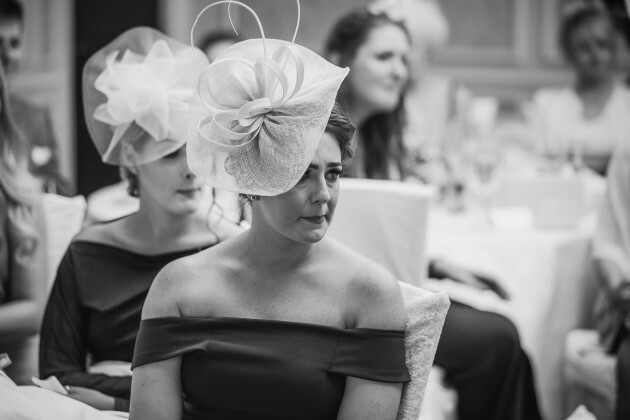 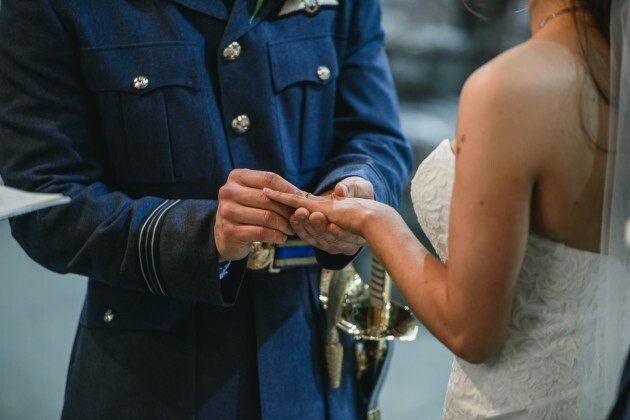 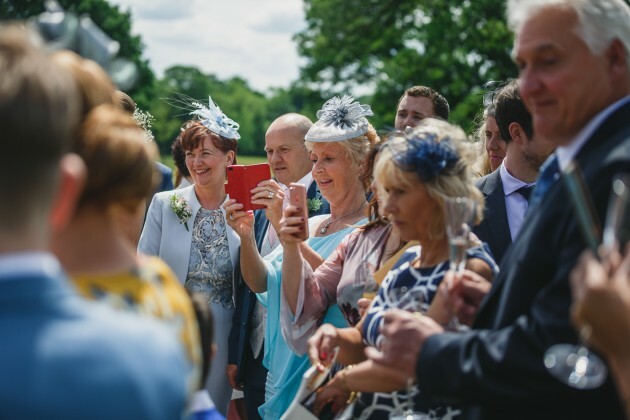 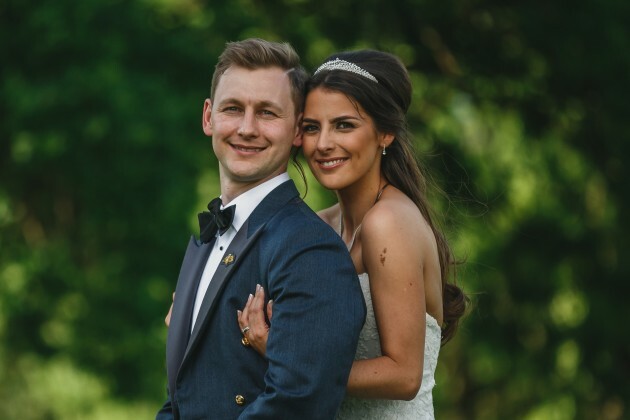 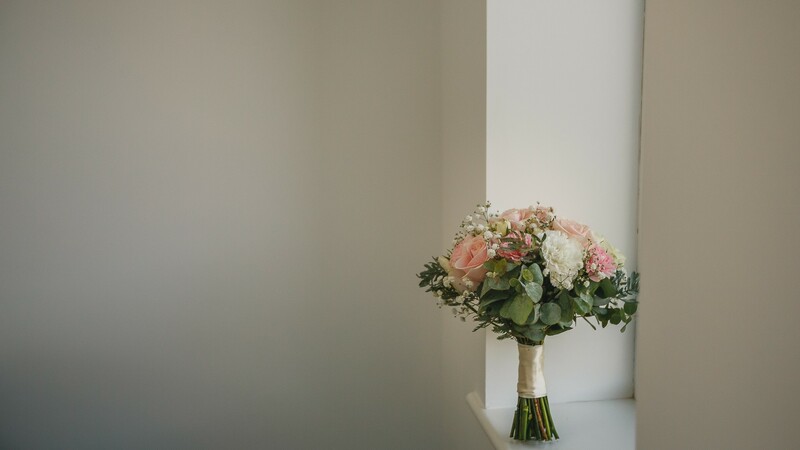 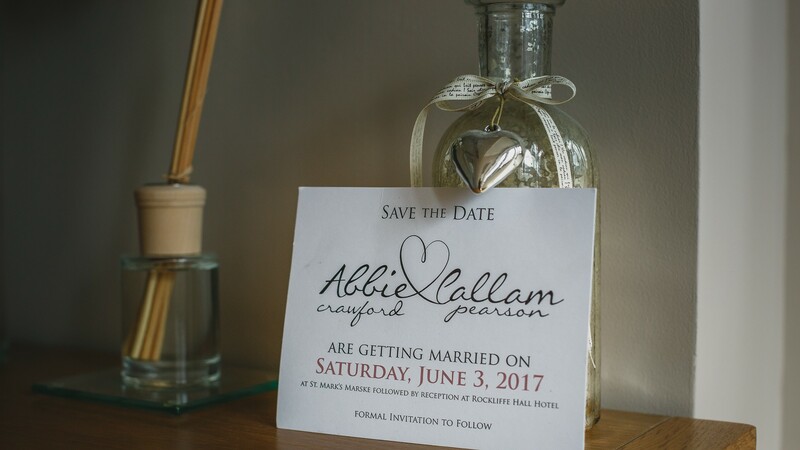 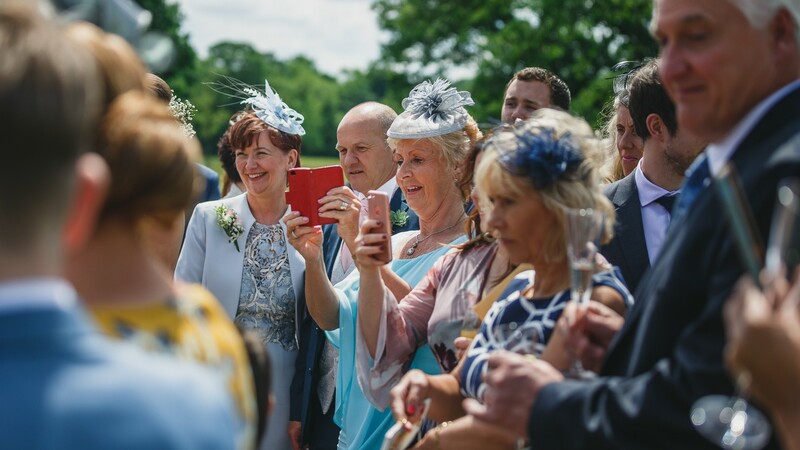 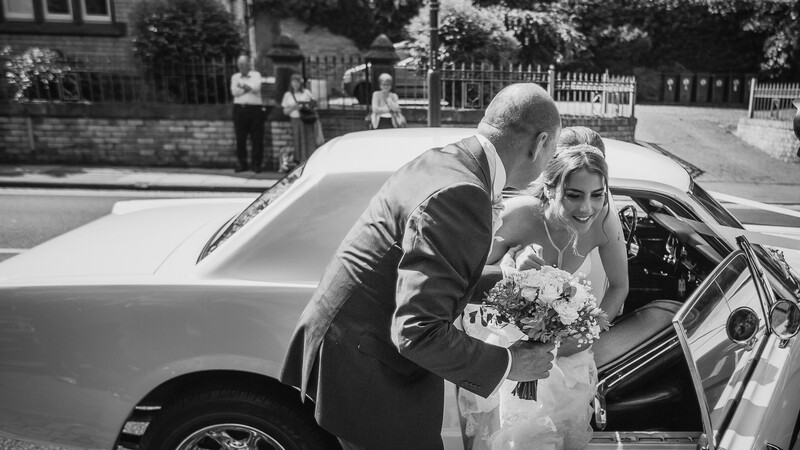 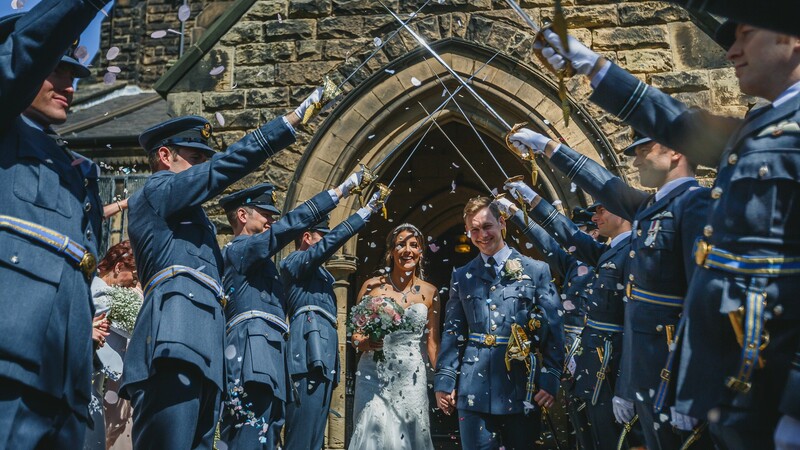 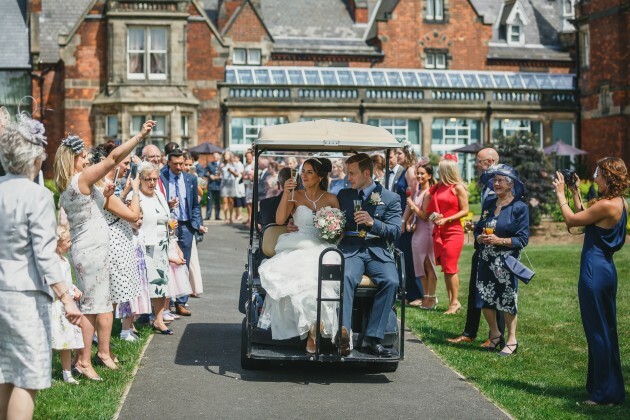 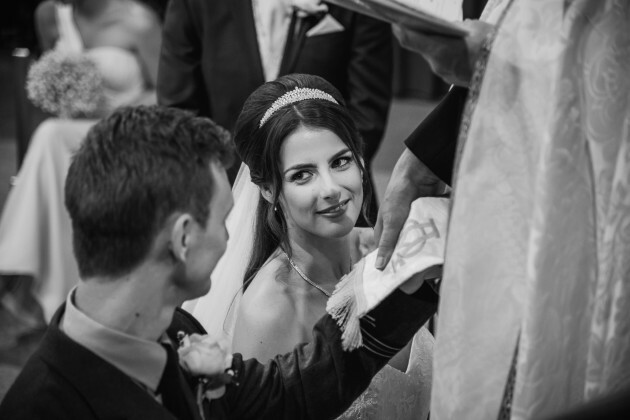 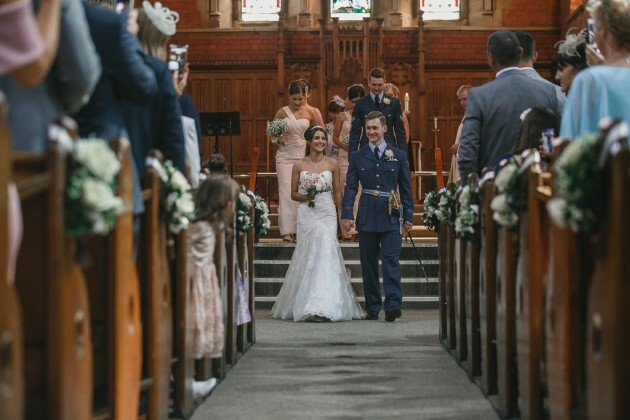 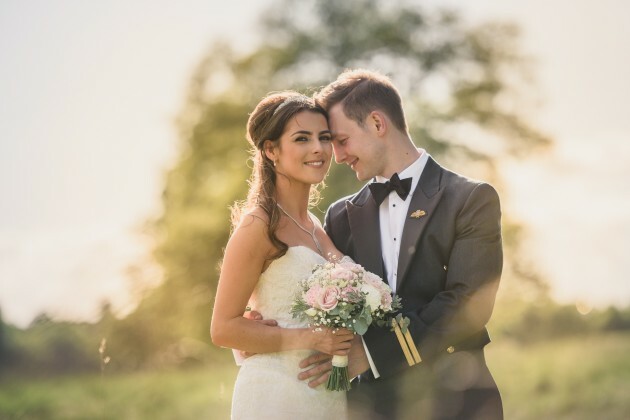 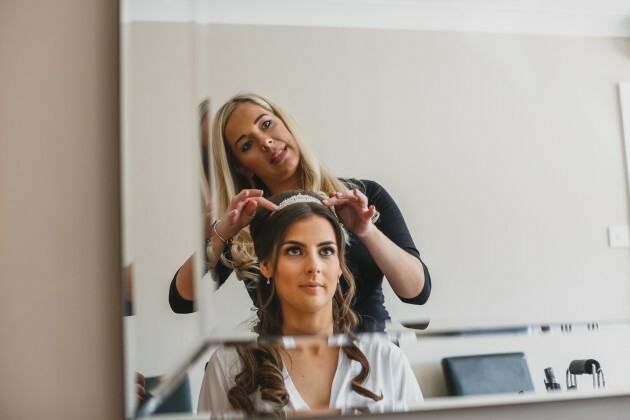 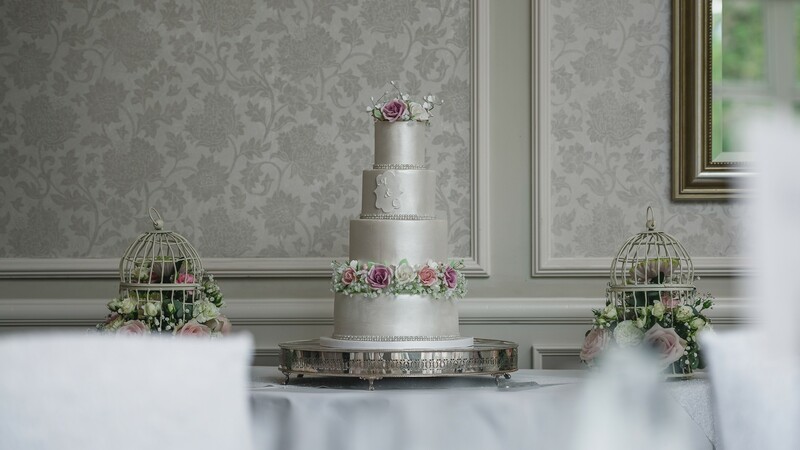 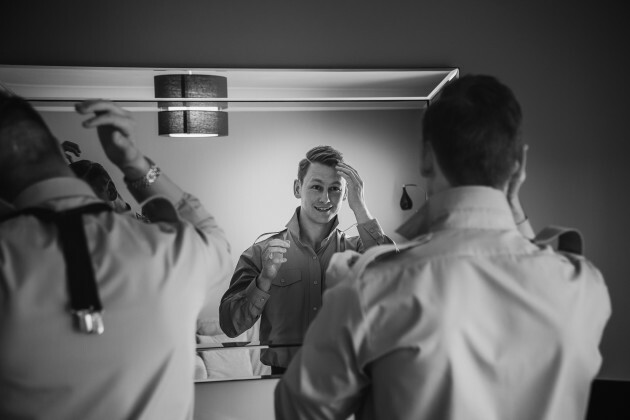 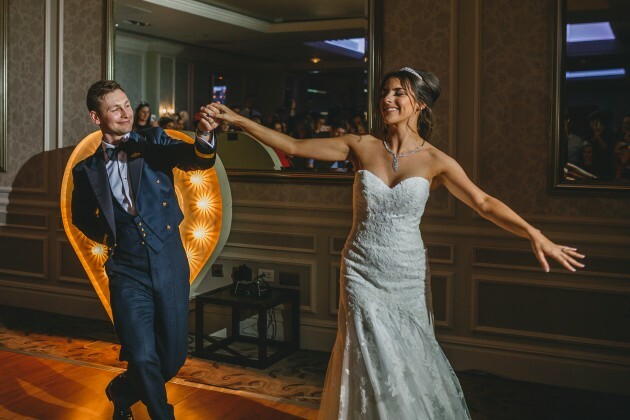 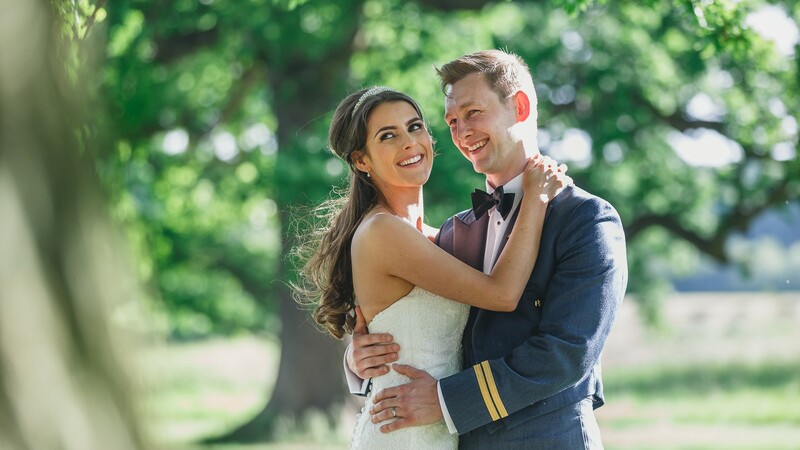 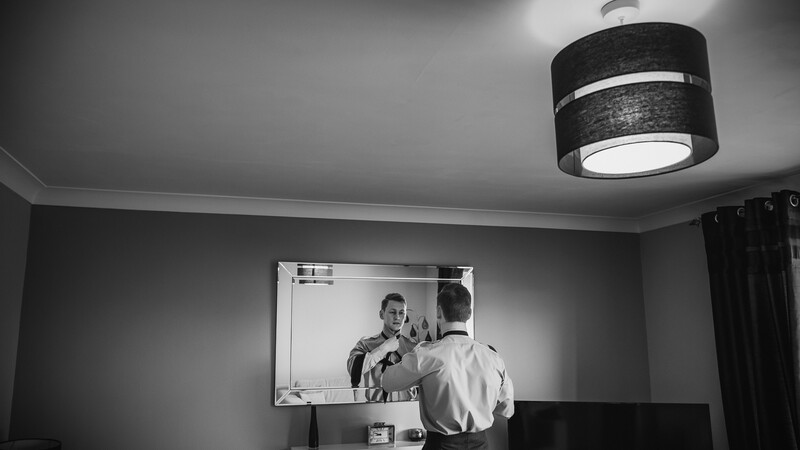 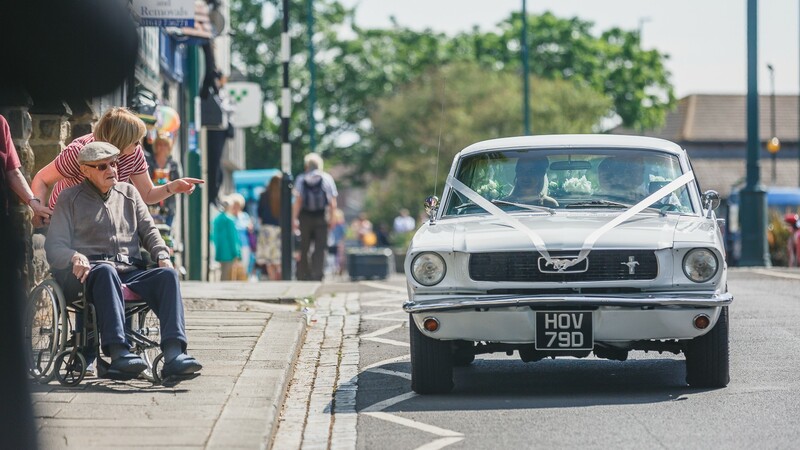 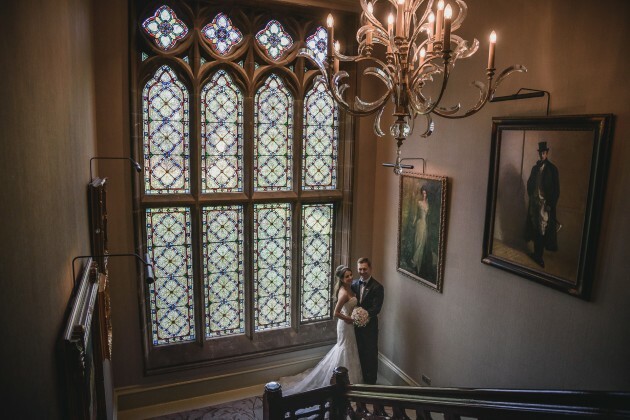 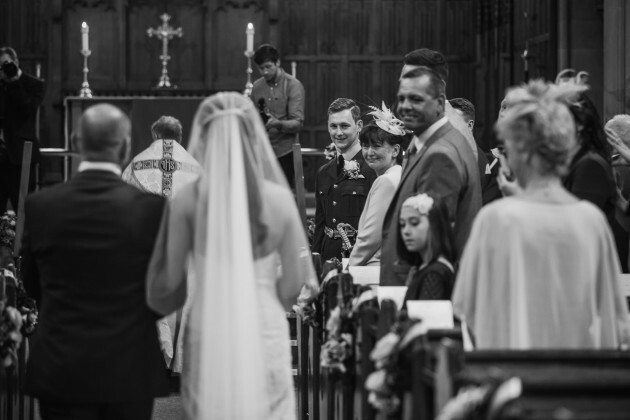 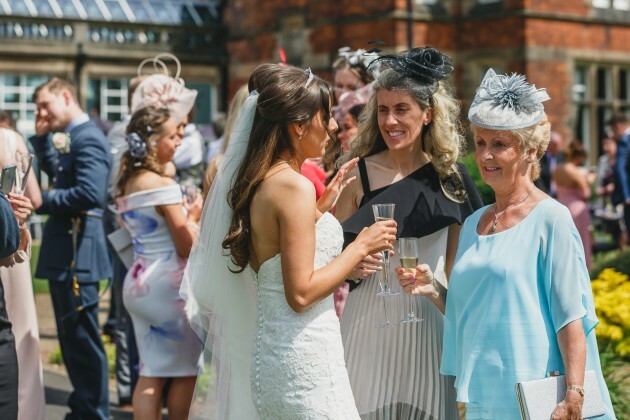 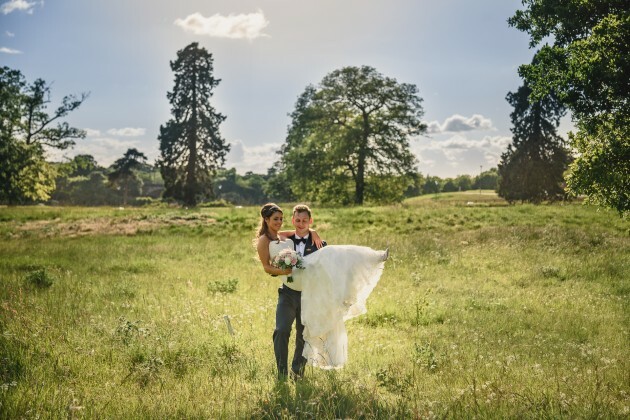 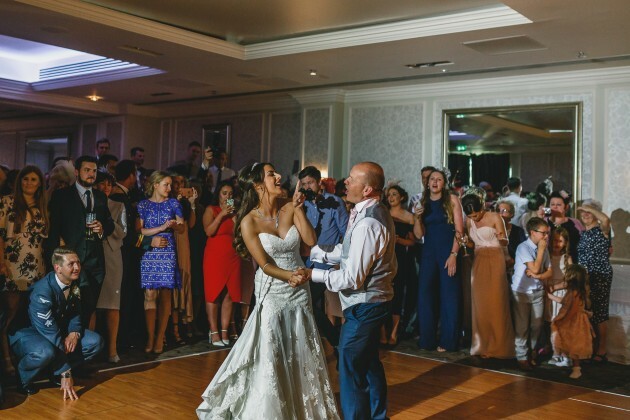 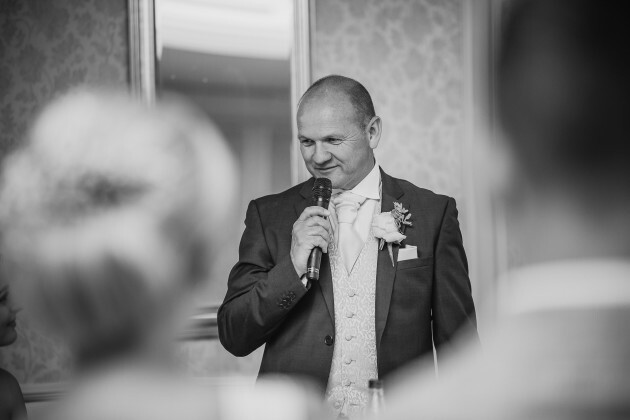 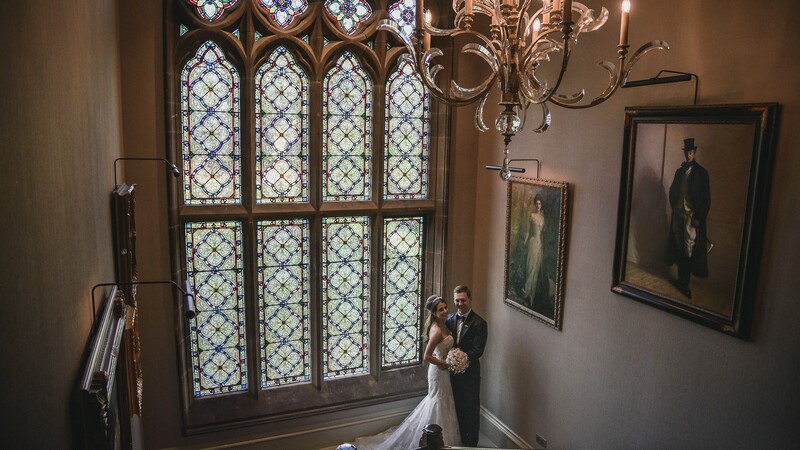 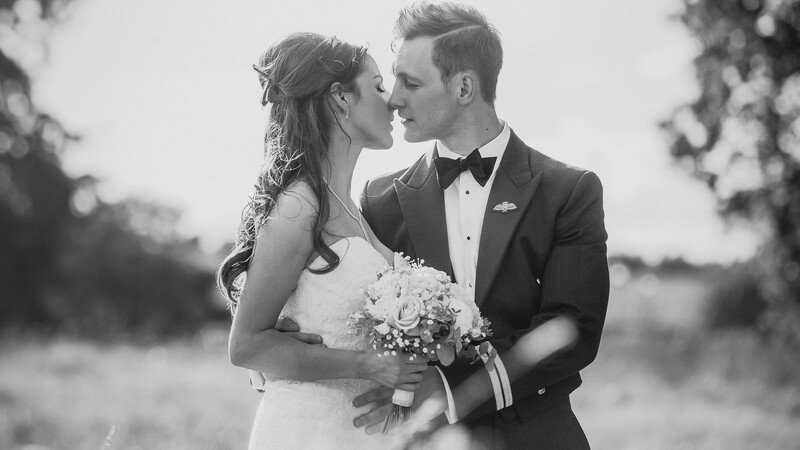 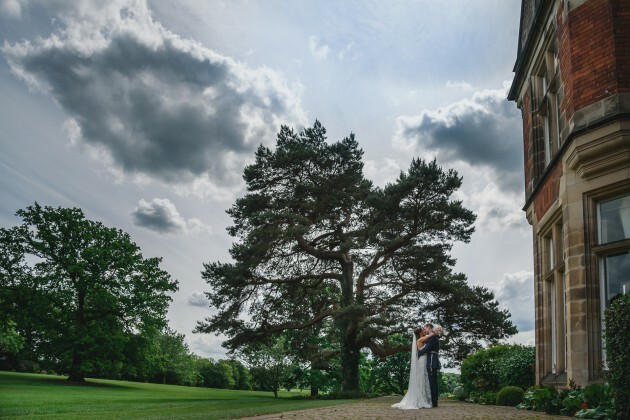 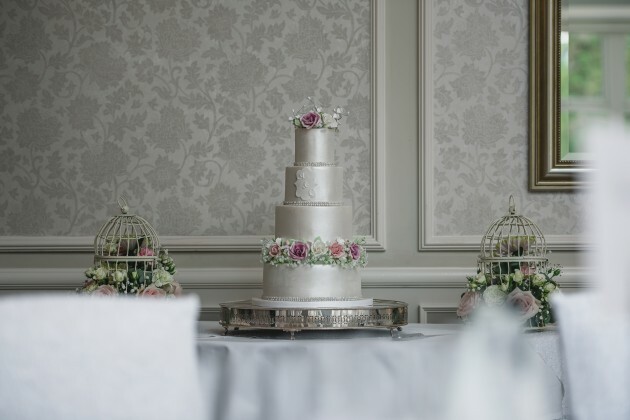 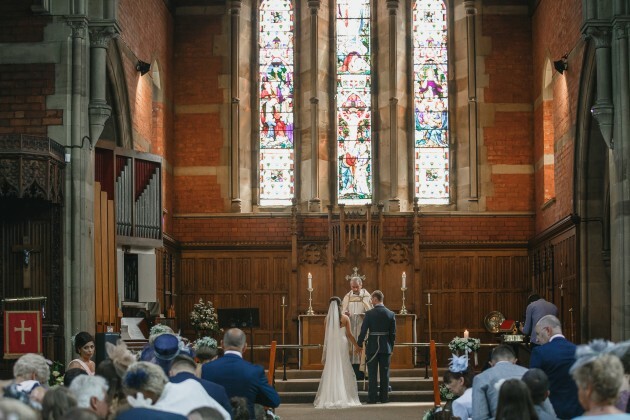 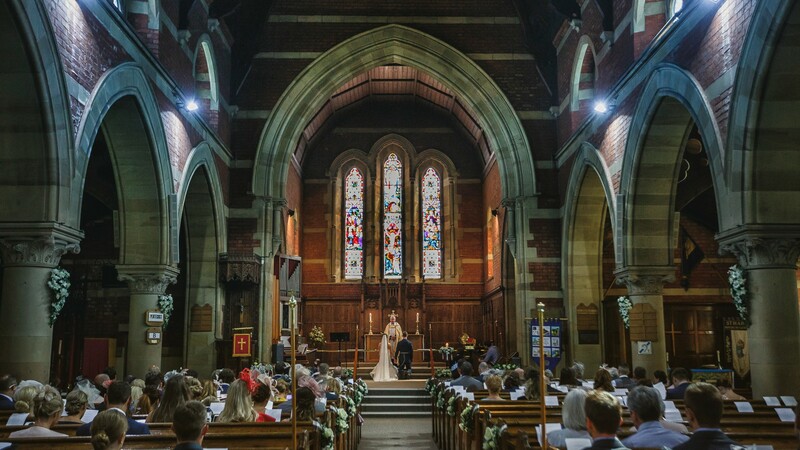 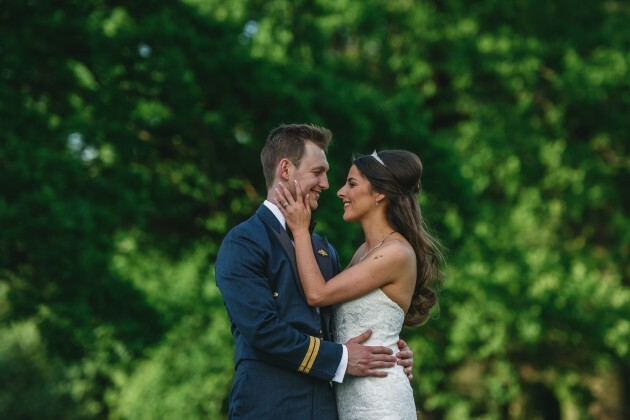 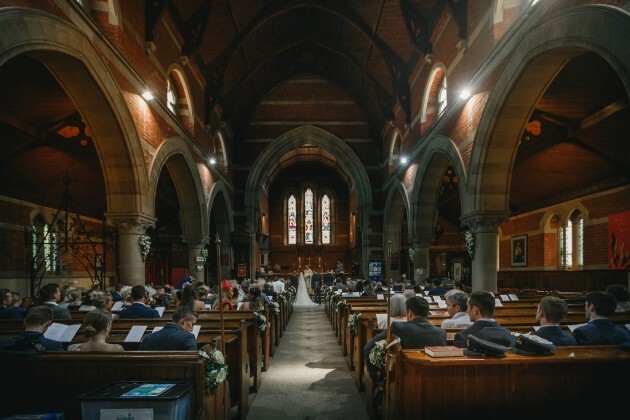 Abbie and Callam fell in love with Rockliffe the moment they saw it, they felt that the mix of original architecture and modern decor was the perfect setting for their wedding day. 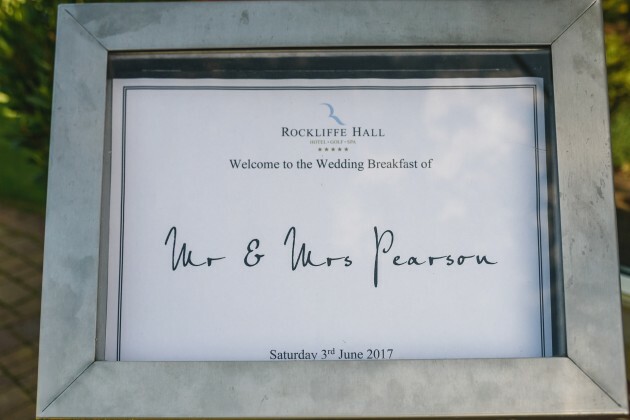 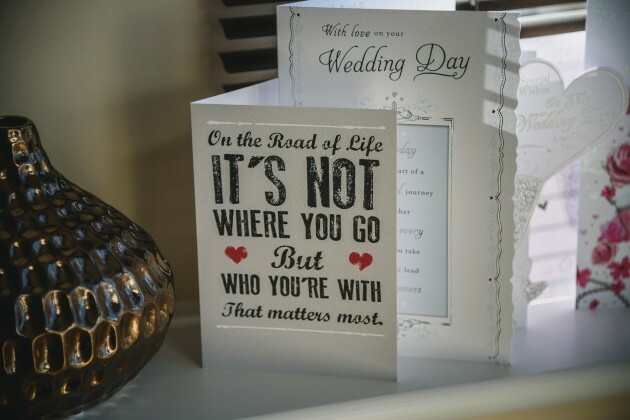 Having shot over 50 wedding at Rockliffe Hall, we couldn't agree more! 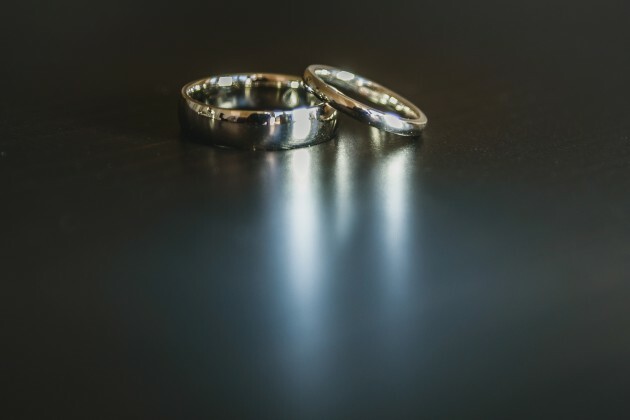 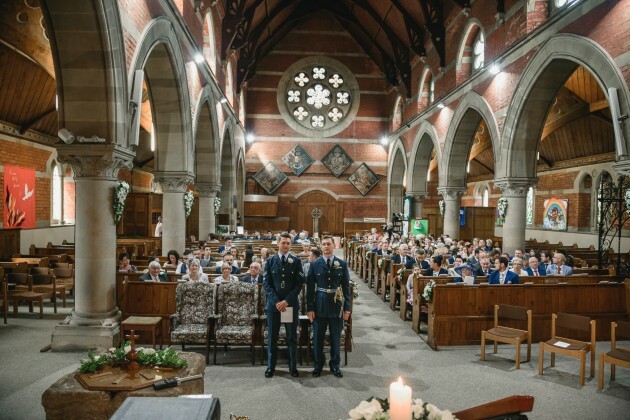 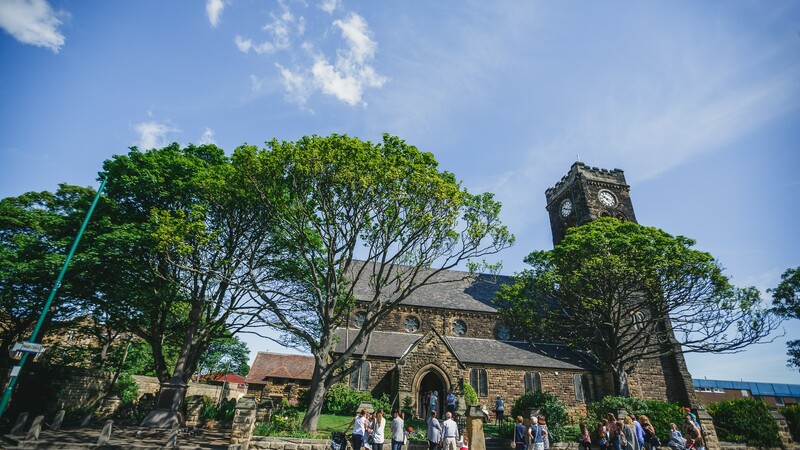 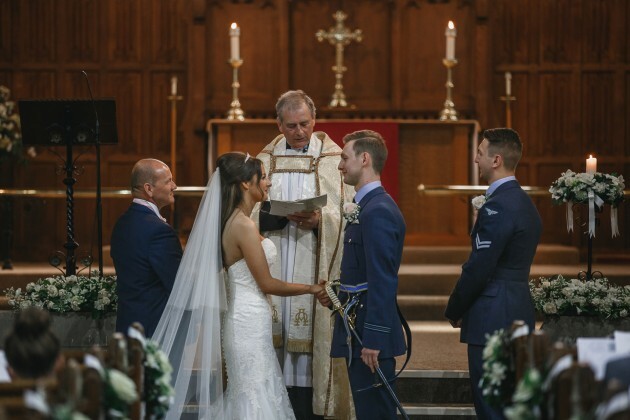 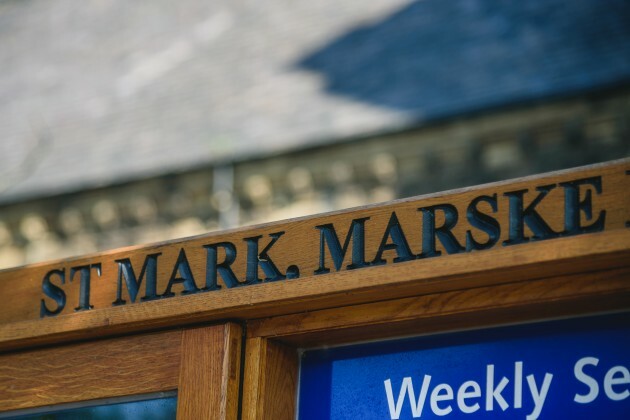 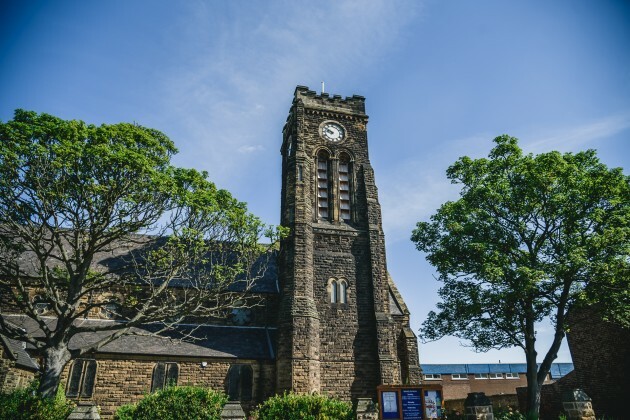 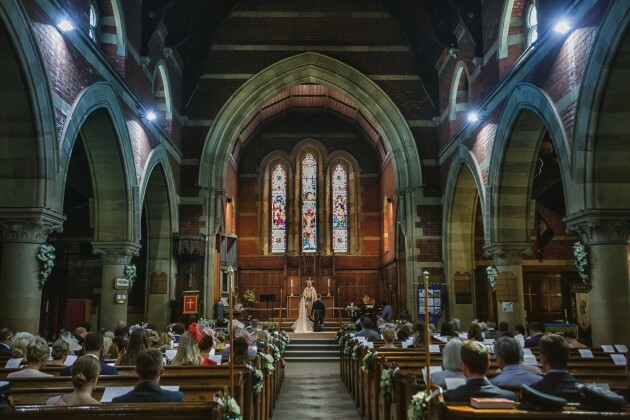 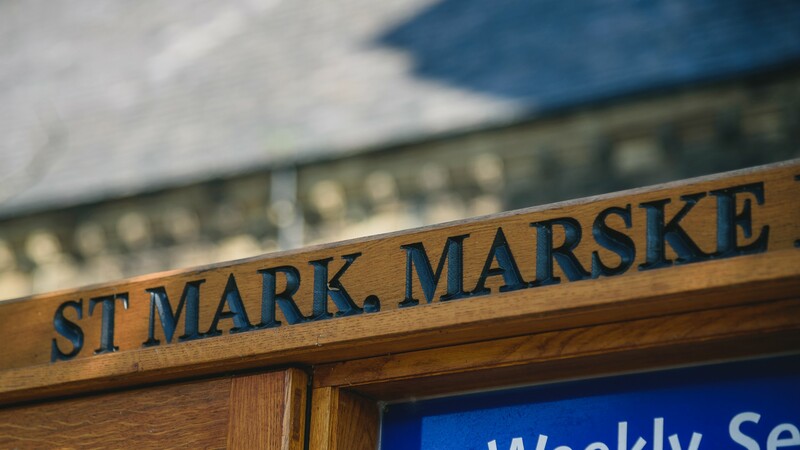 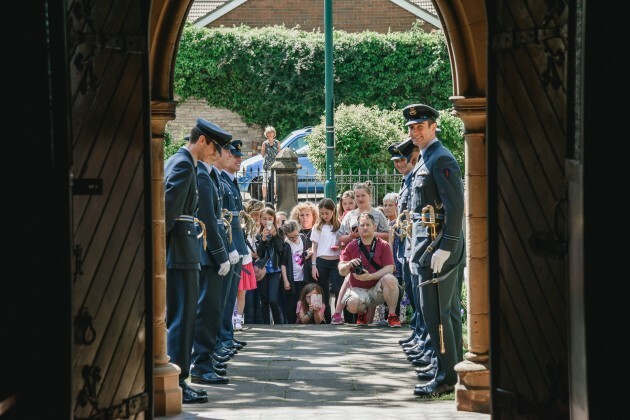 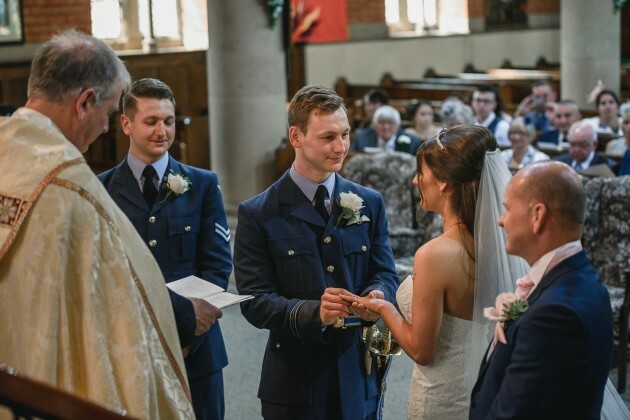 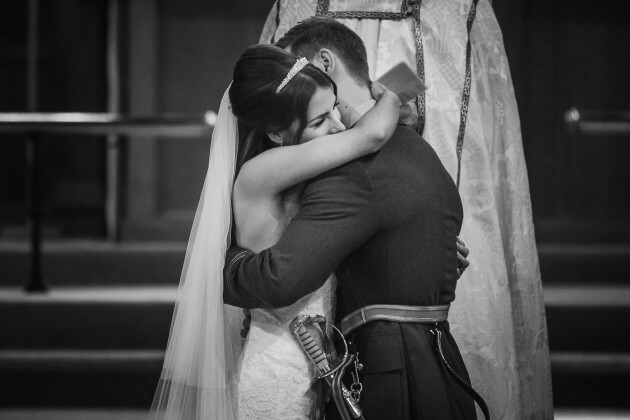 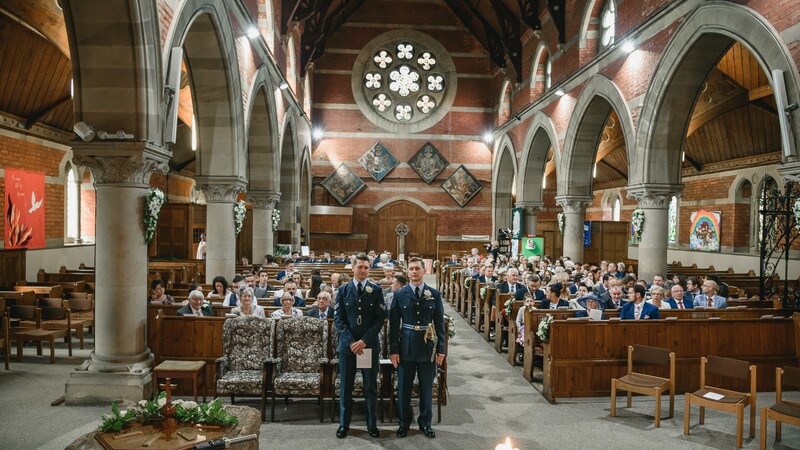 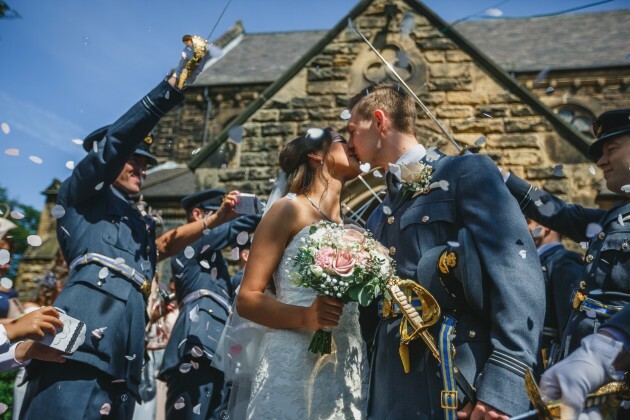 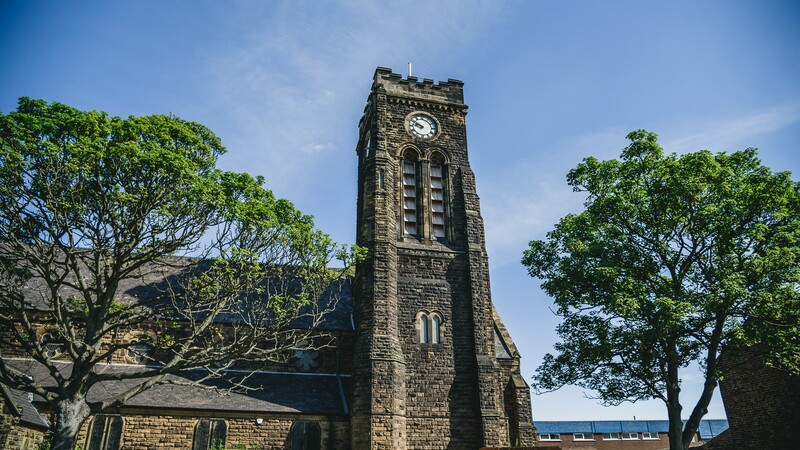 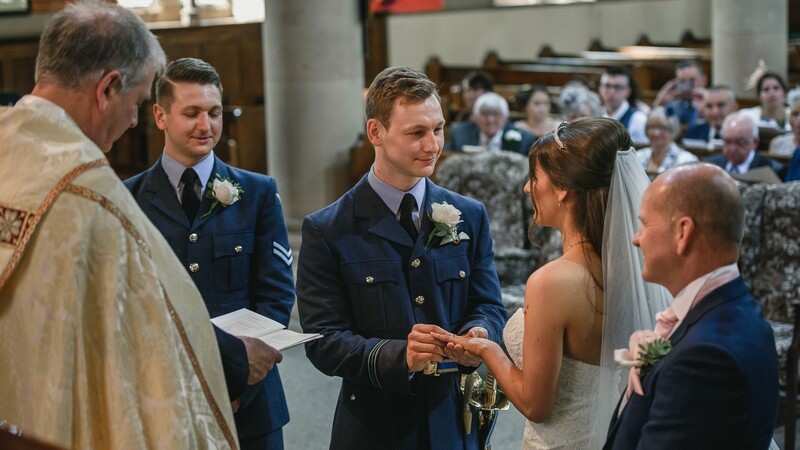 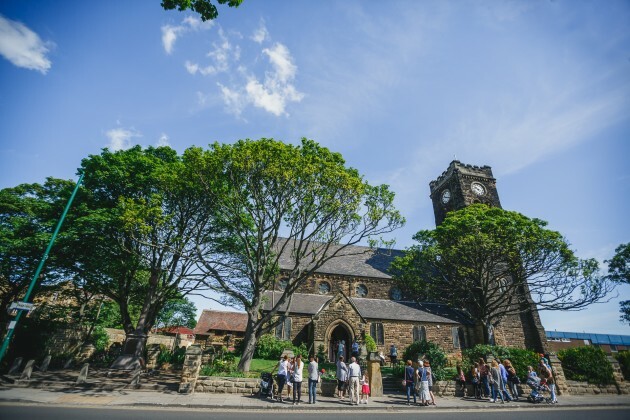 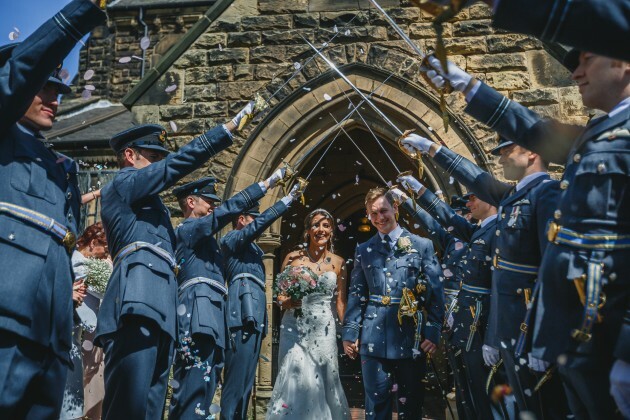 Abbie and Callam started the day early with a 10.30 wedding ceremony at St Mark's Church Marske, they were determined to pack in as much as they could into this once in a lifetime day! 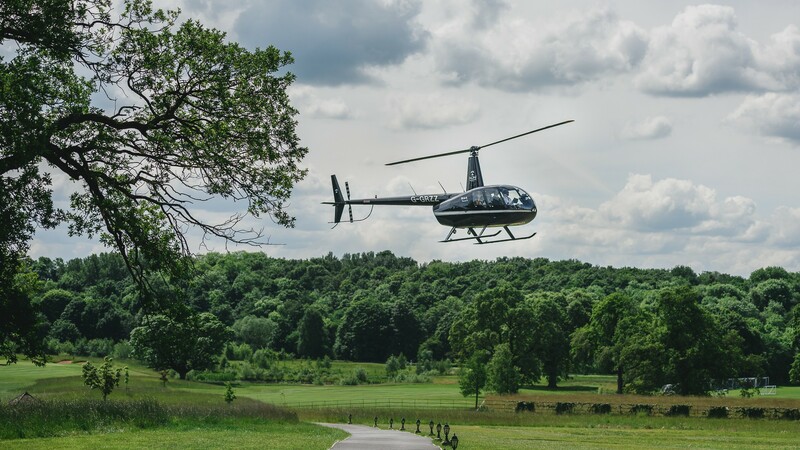 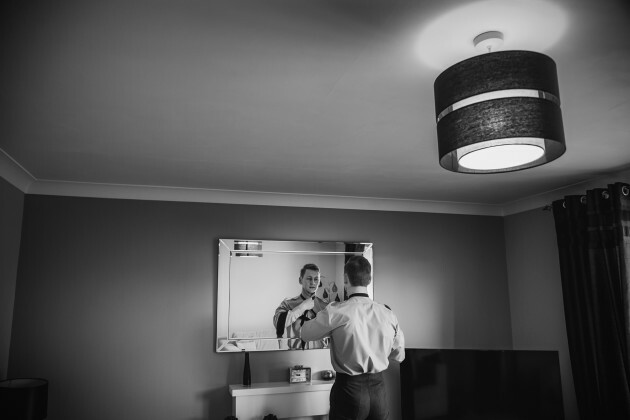 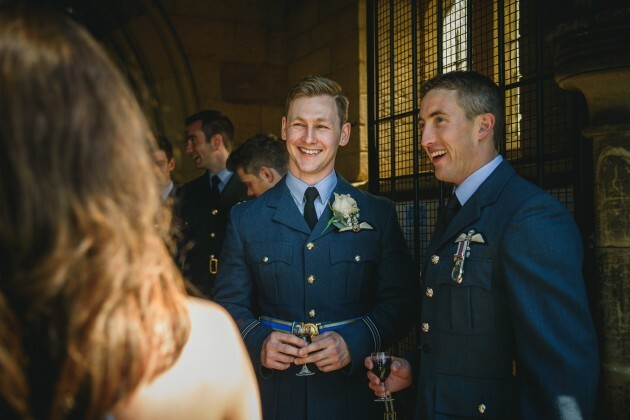 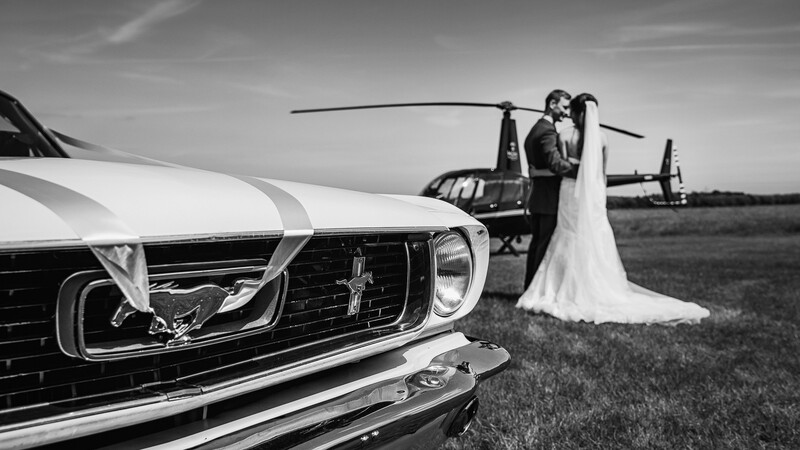 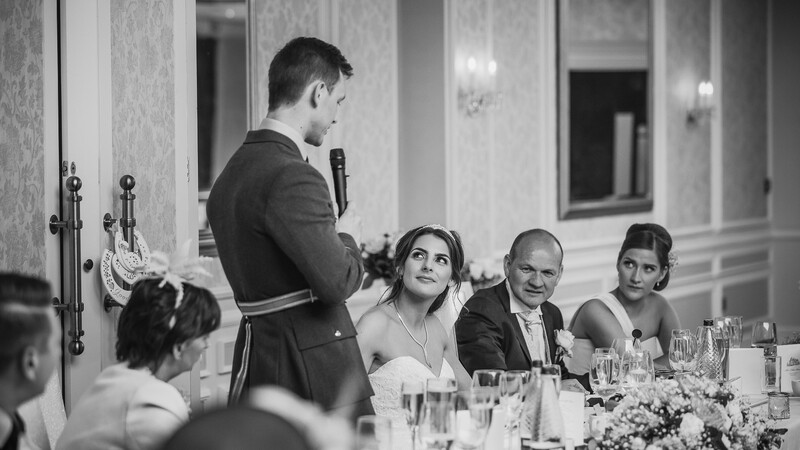 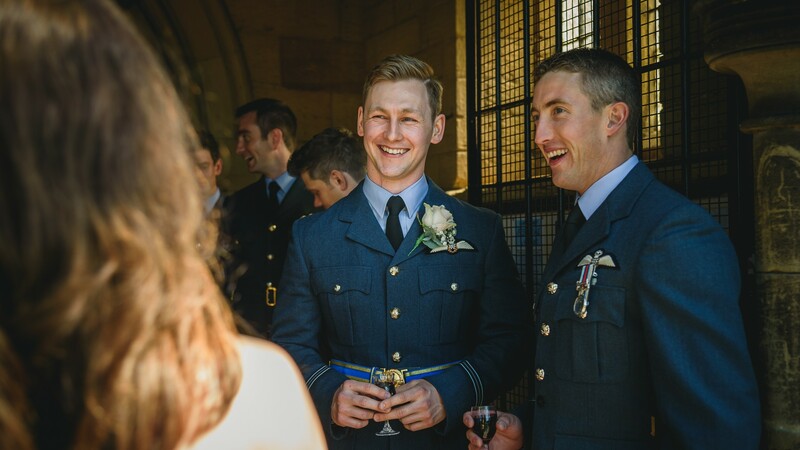 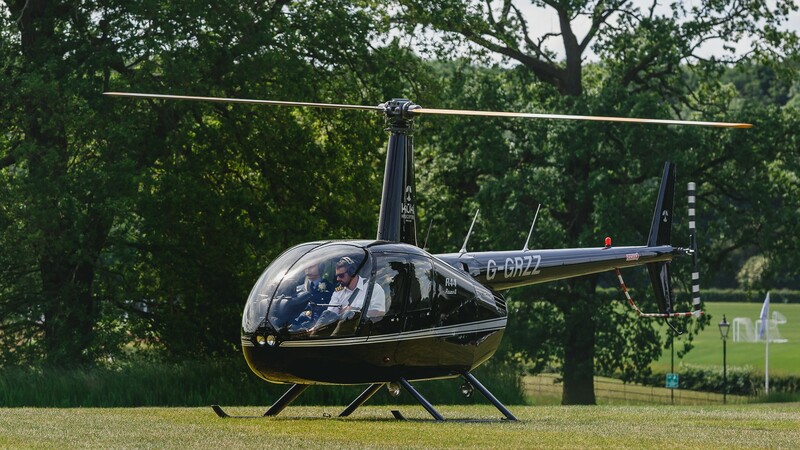 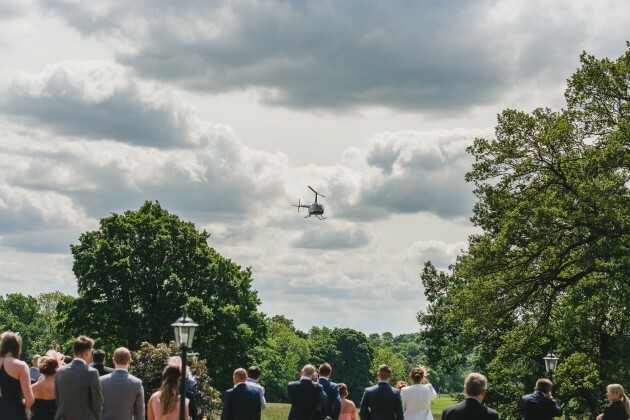 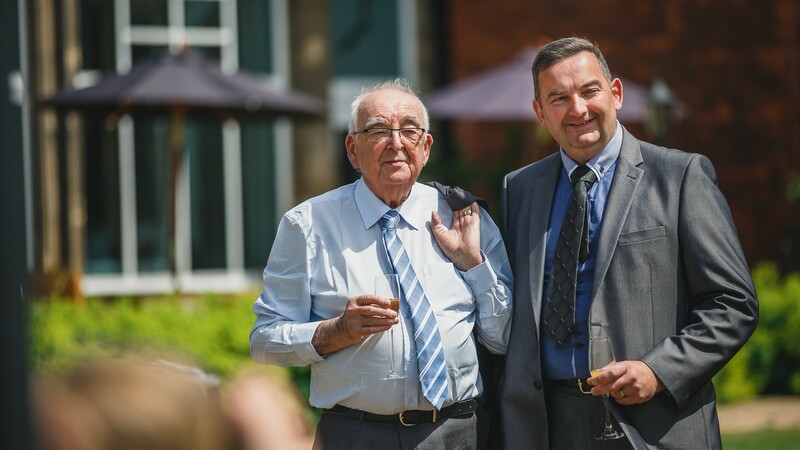 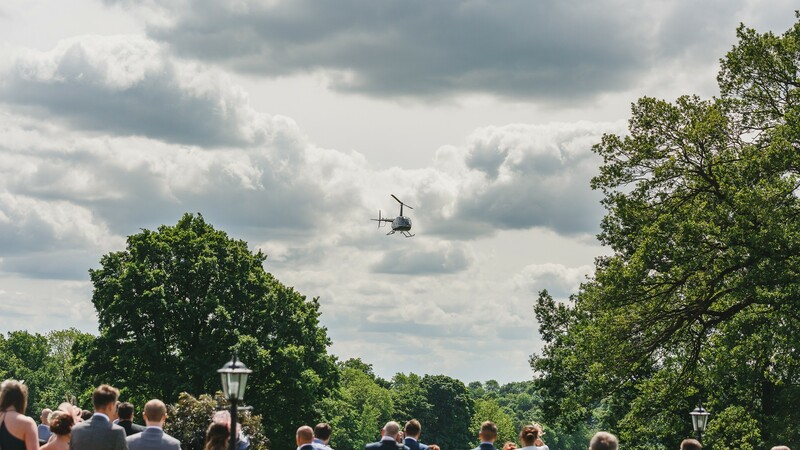 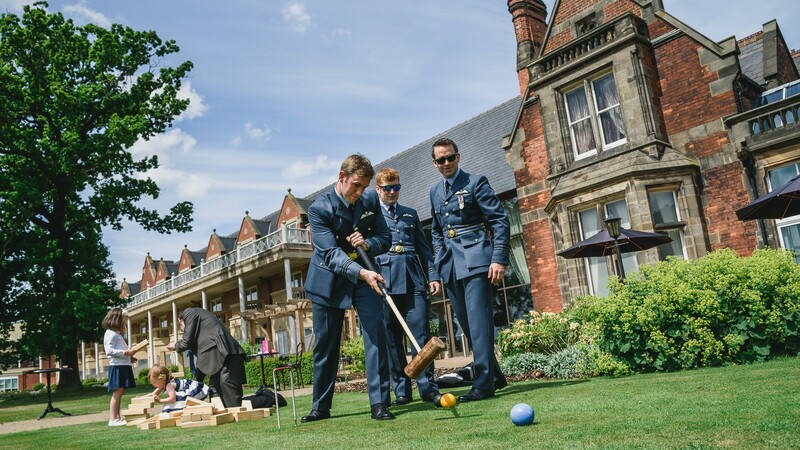 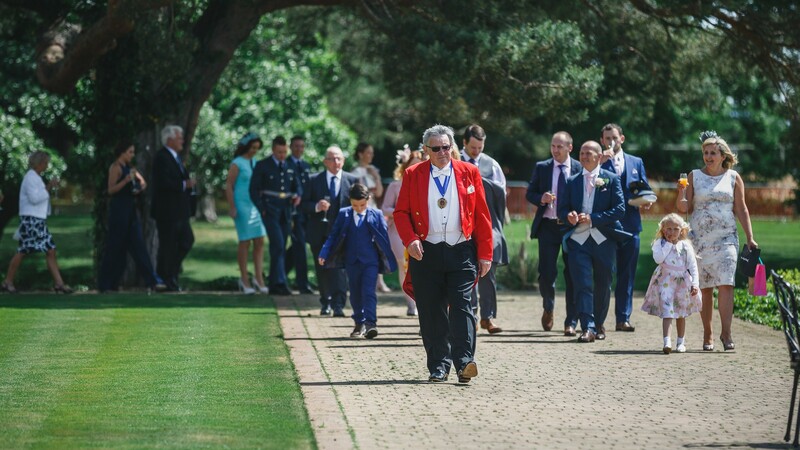 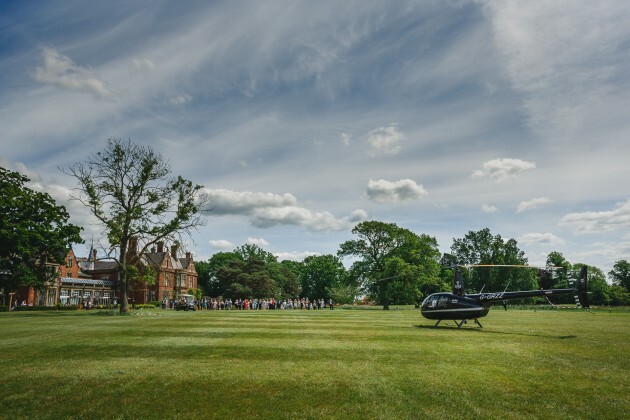 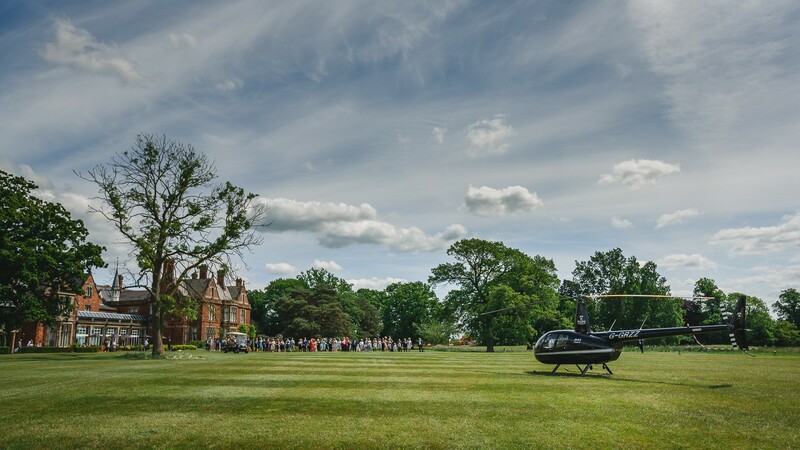 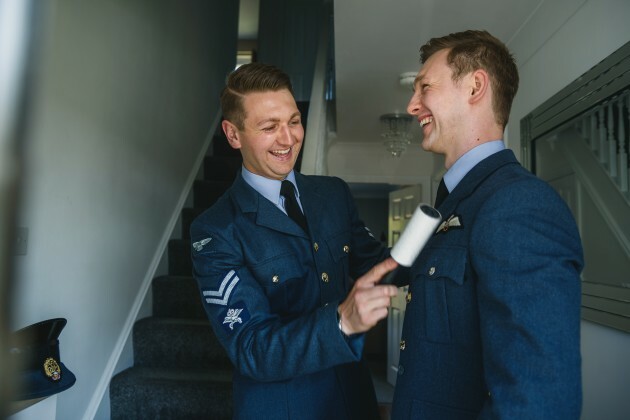 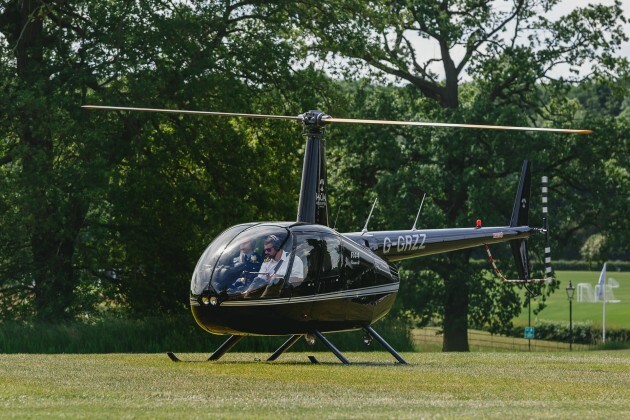 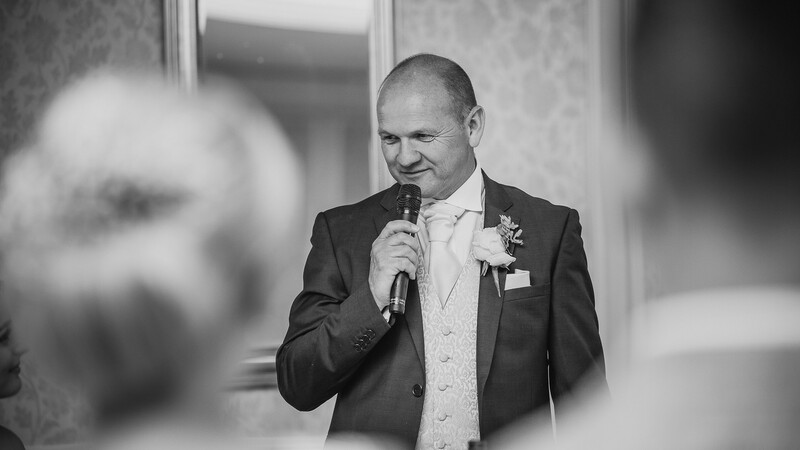 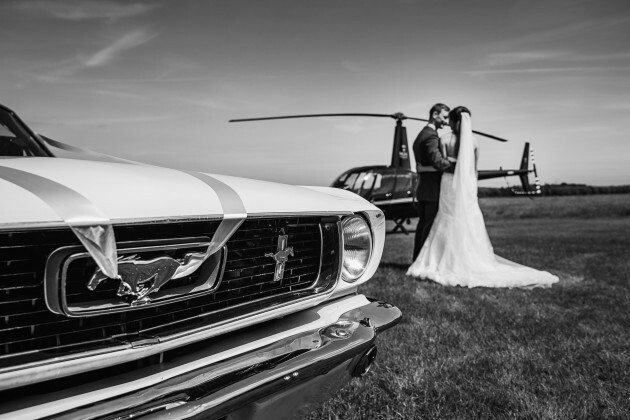 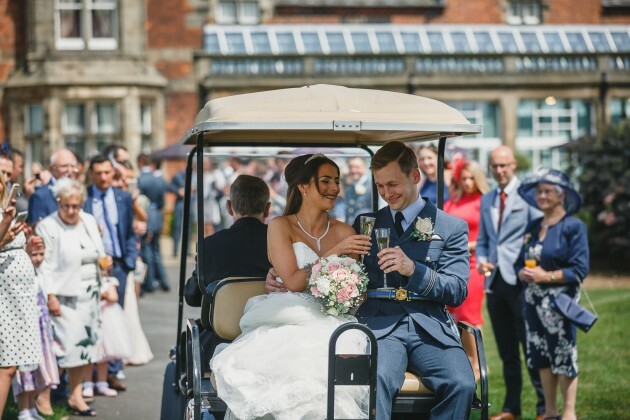 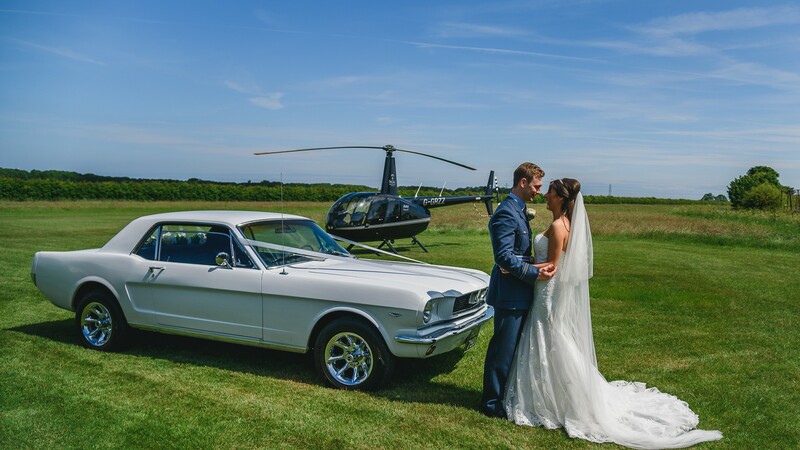 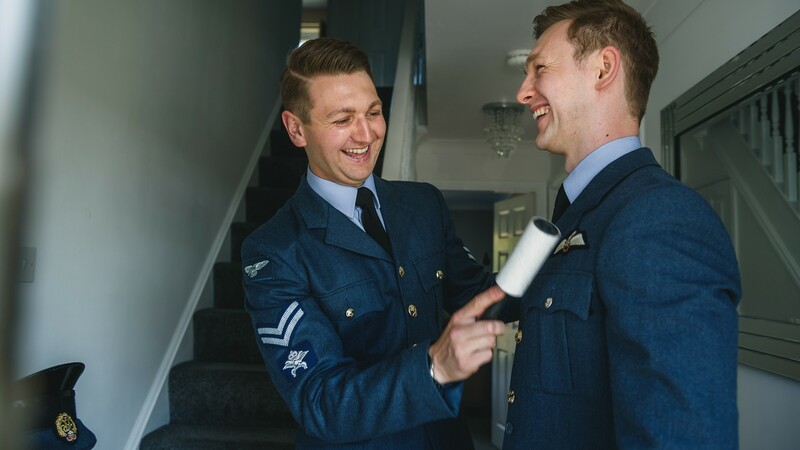 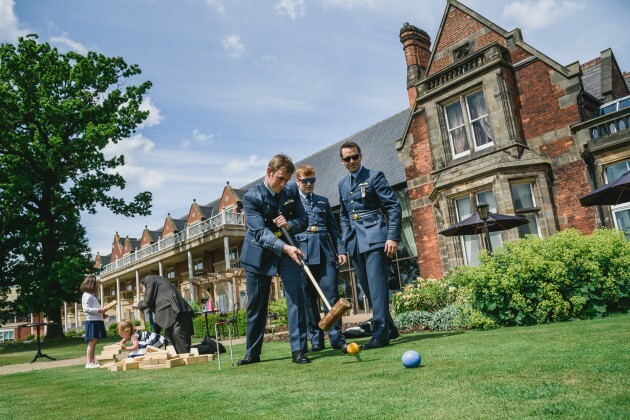 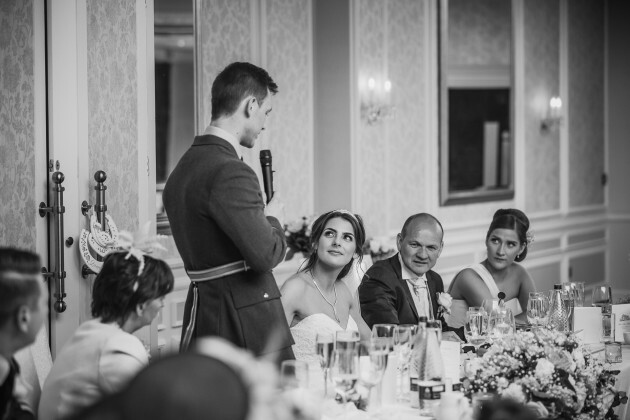 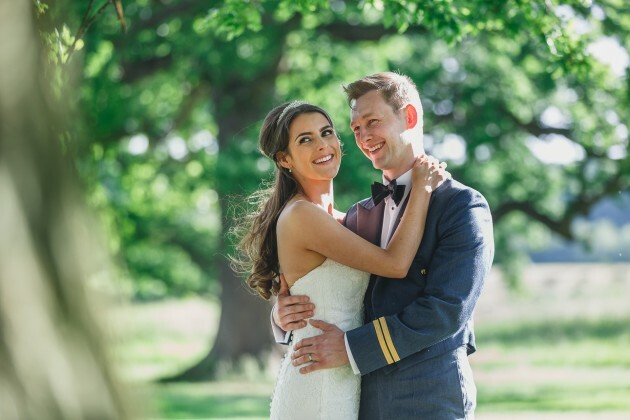 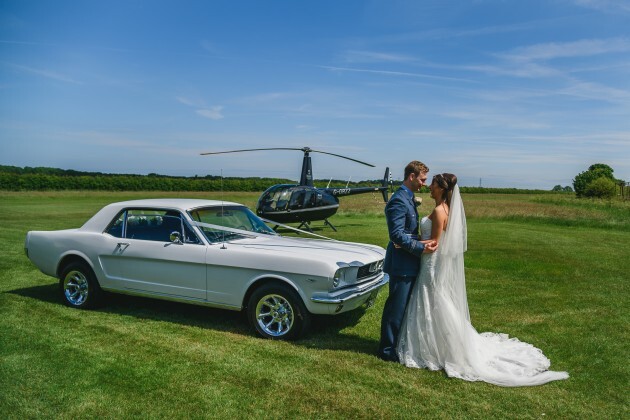 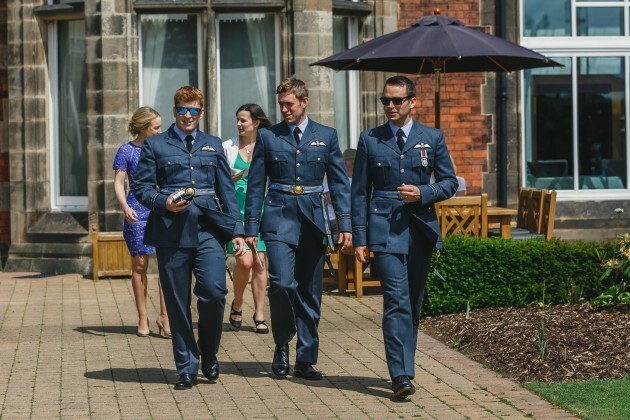 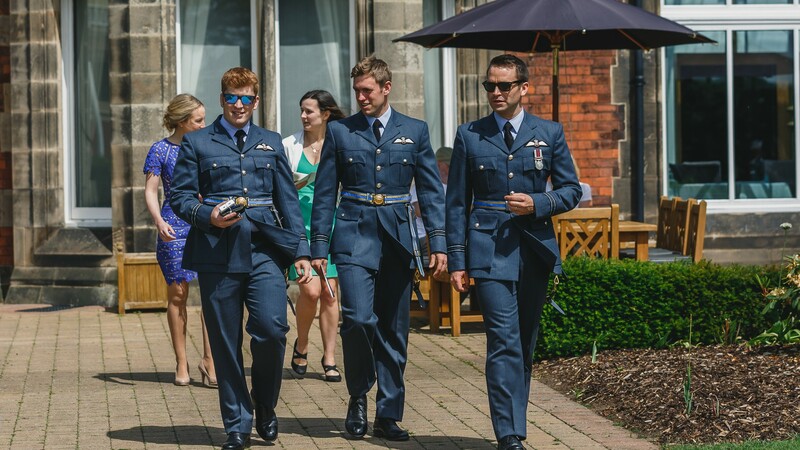 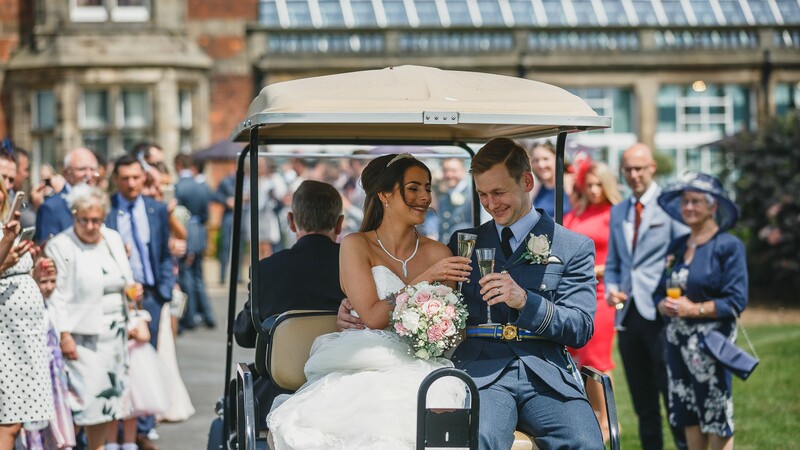 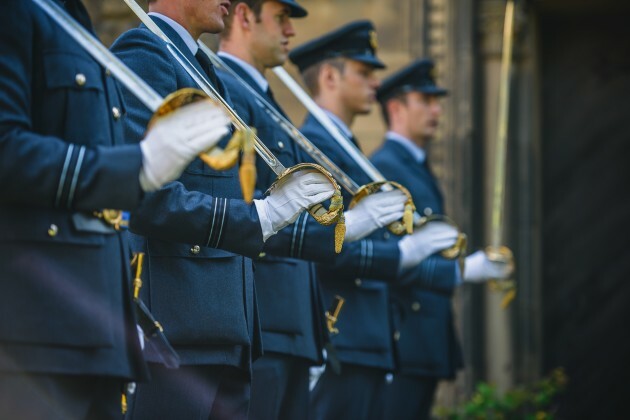 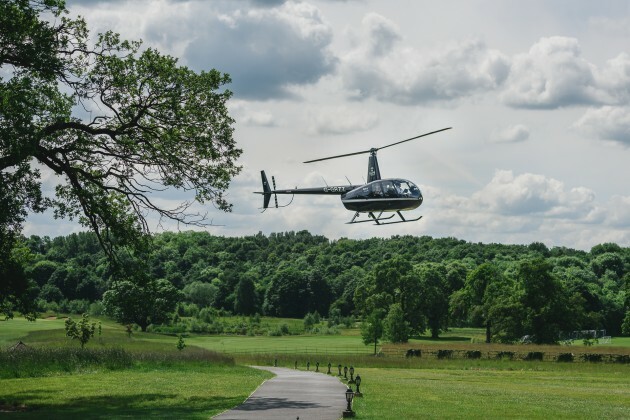 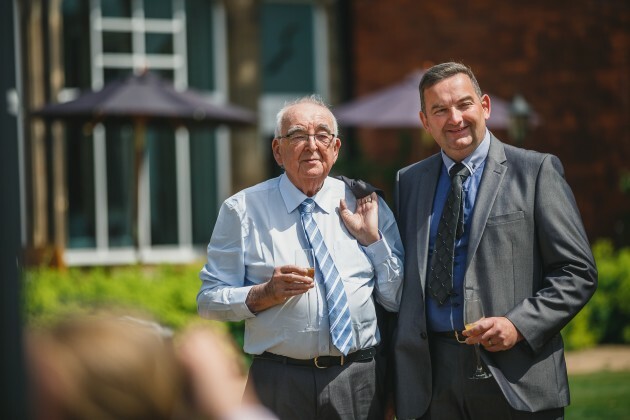 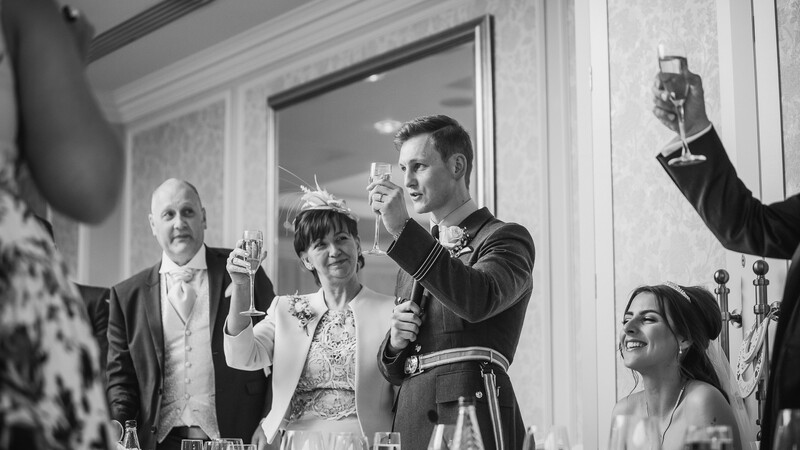 A high point of the day was when Callam, who is a helicopter pilot surprised all their guests by landing them himself at Rockliffe Hall in a helicopter. 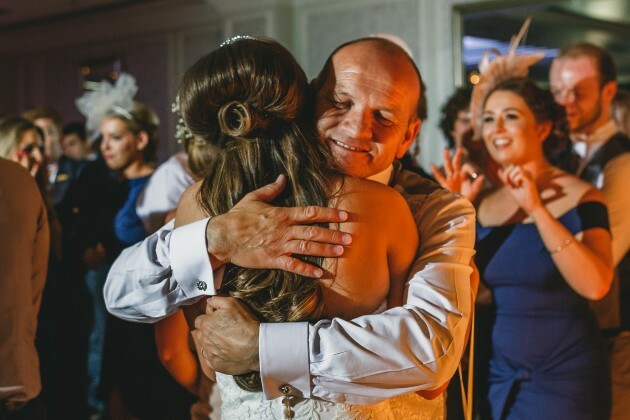 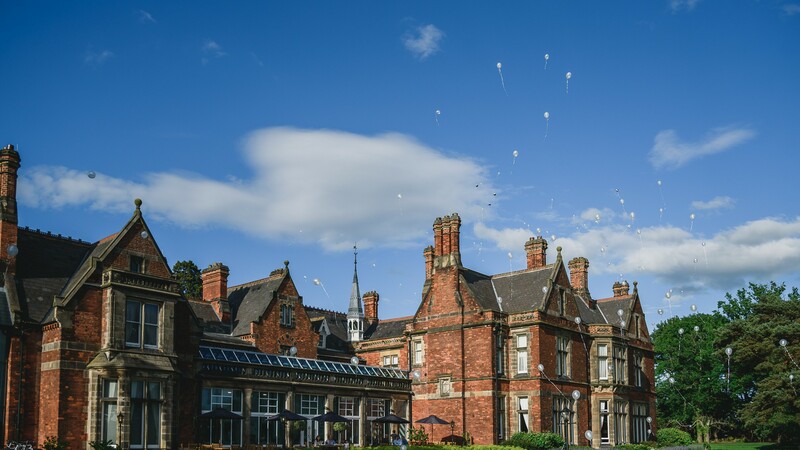 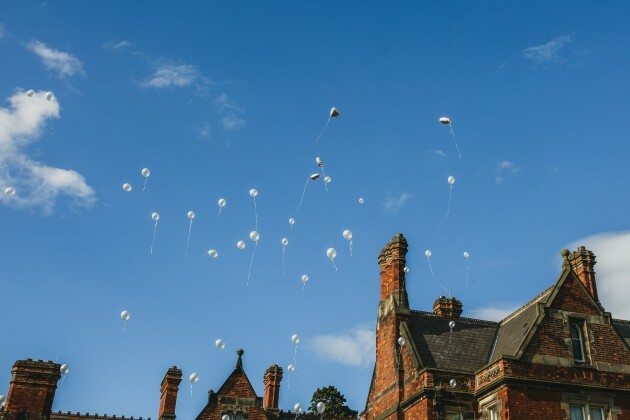 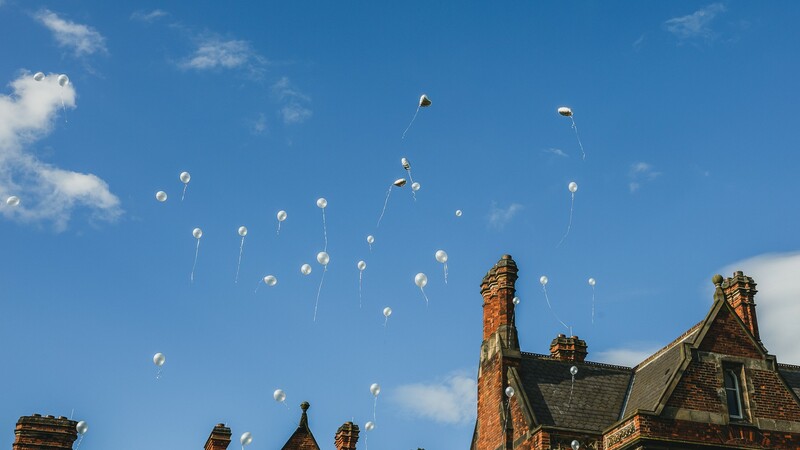 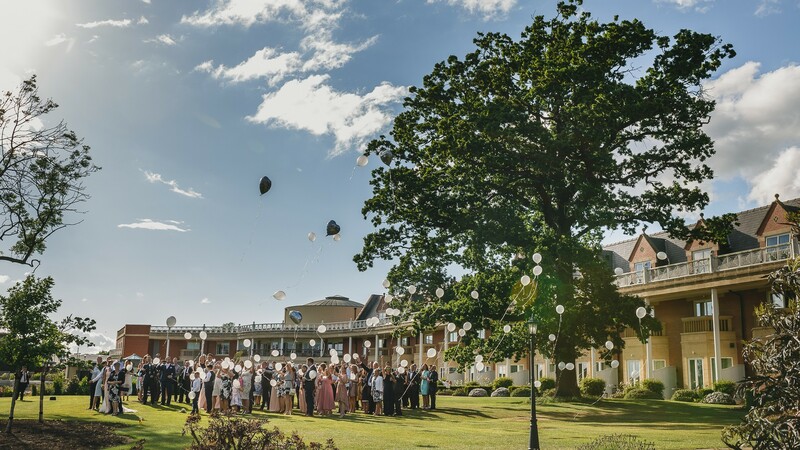 Another lovely touch was a special tribute to Abbie's beautiful Mum, Kerry who sadly passed away suddenly 6 weeks before their wedding day, everyone joined together and released balloons over Rockliffe, a poignantly beautiful moment. 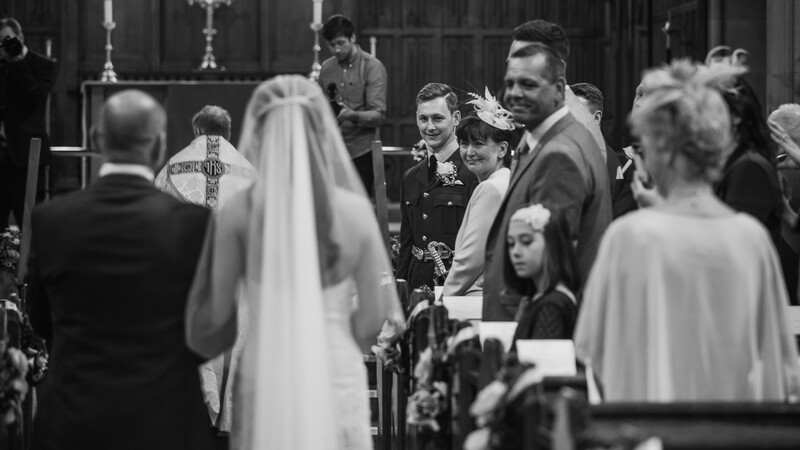 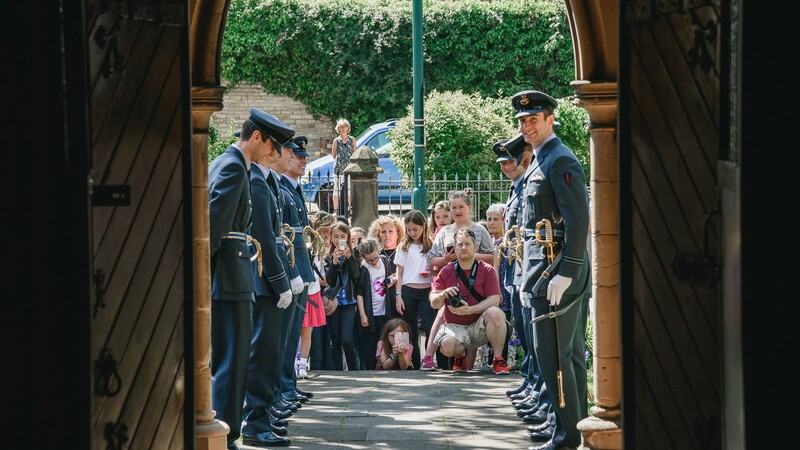 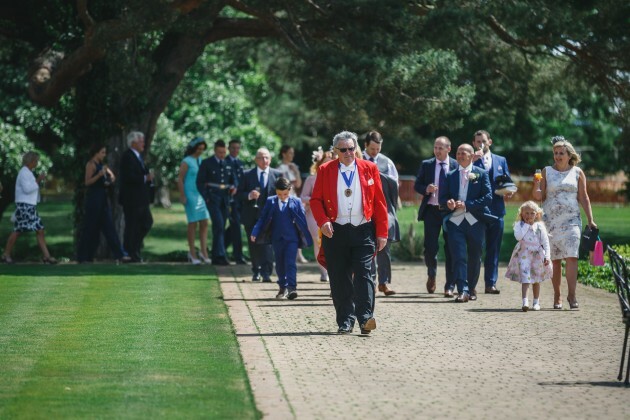 It was an absolute pleasure to be part of Abbie and Callam's wedding day and meeting all their family and friends. 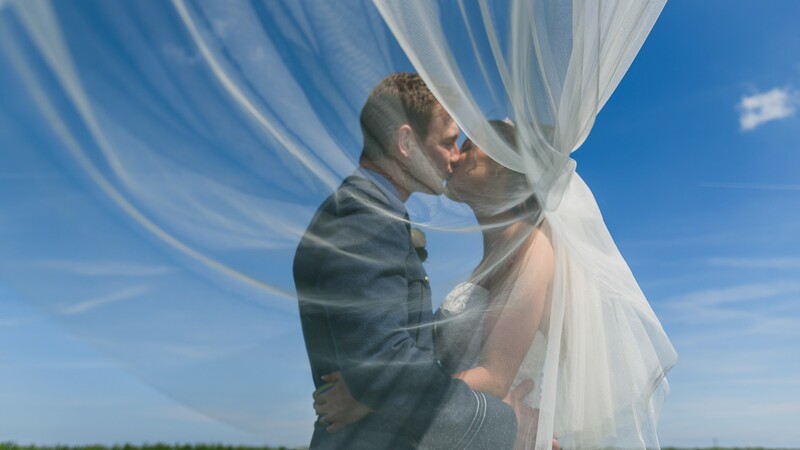 "Amazing photographers! 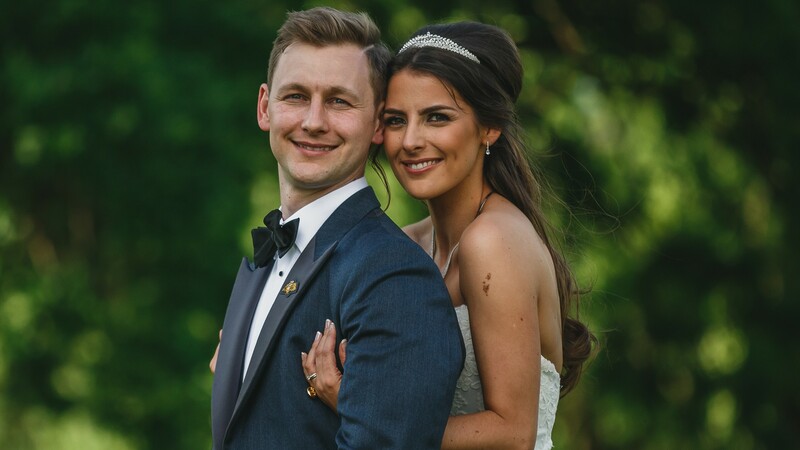 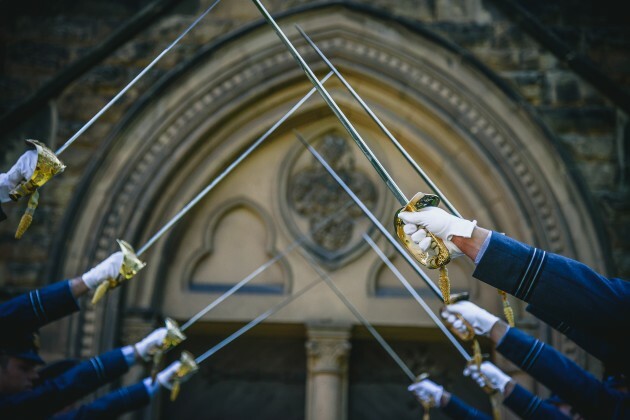 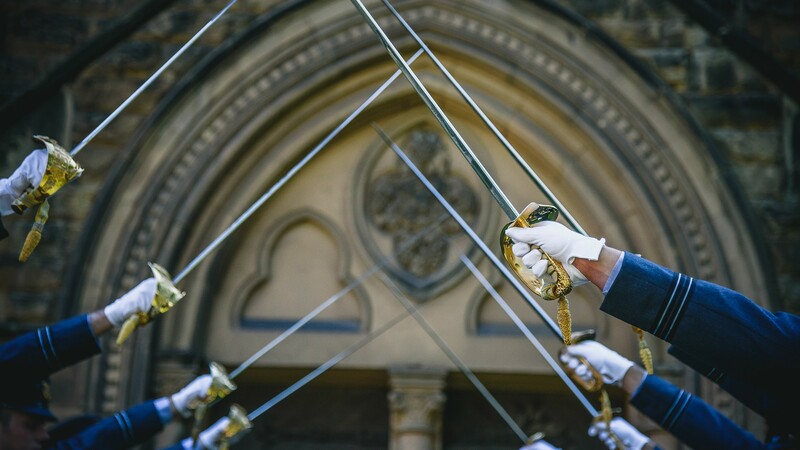 We had our pre-wedding photoshoot at Jesmond Dene and absolutely loved every single picture, and had so much fun too! 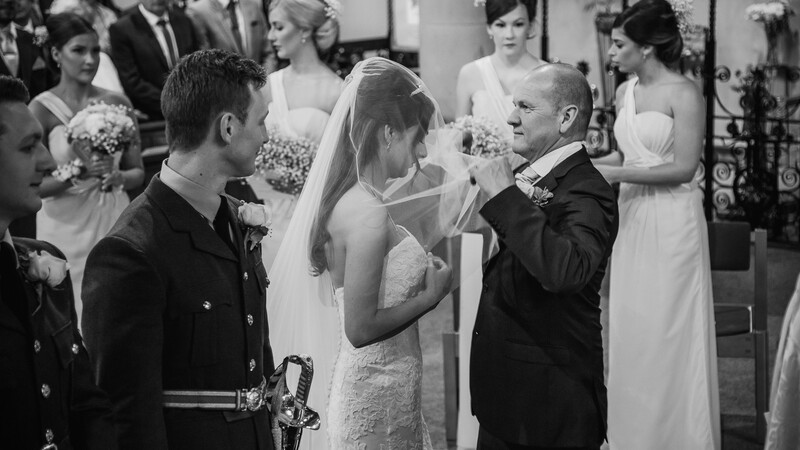 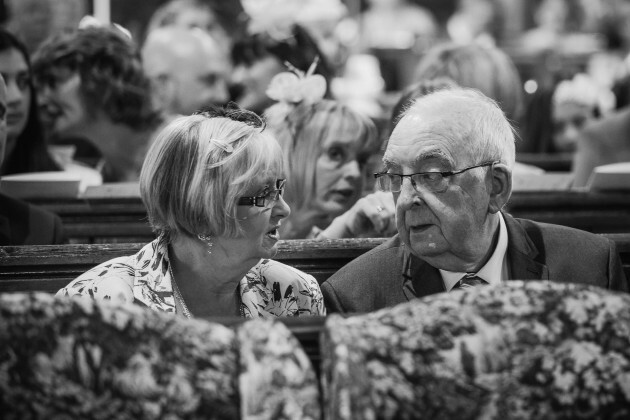 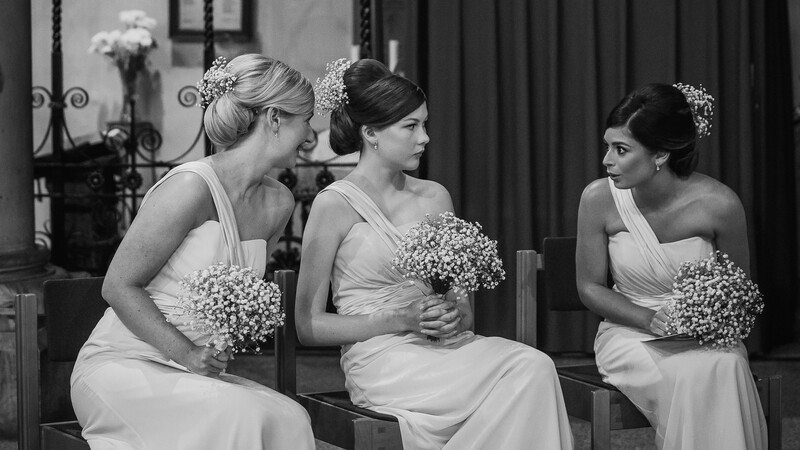 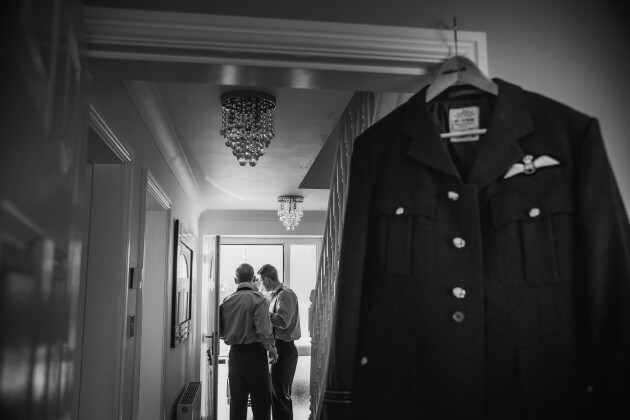 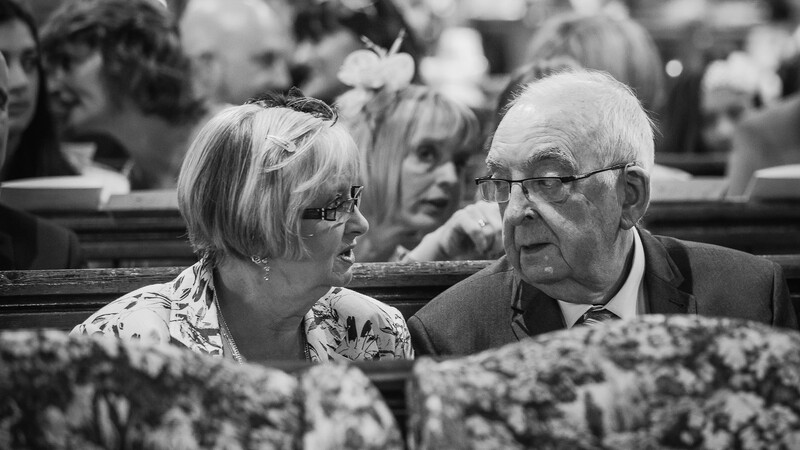 Jane and Stan were so friendly from the moment we met them, they were so kind and professional on our Wedding day too! 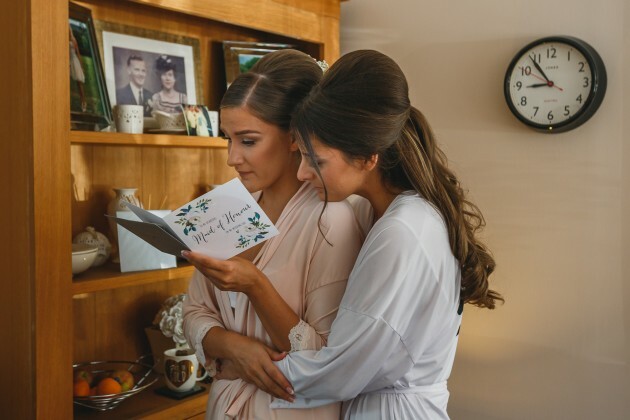 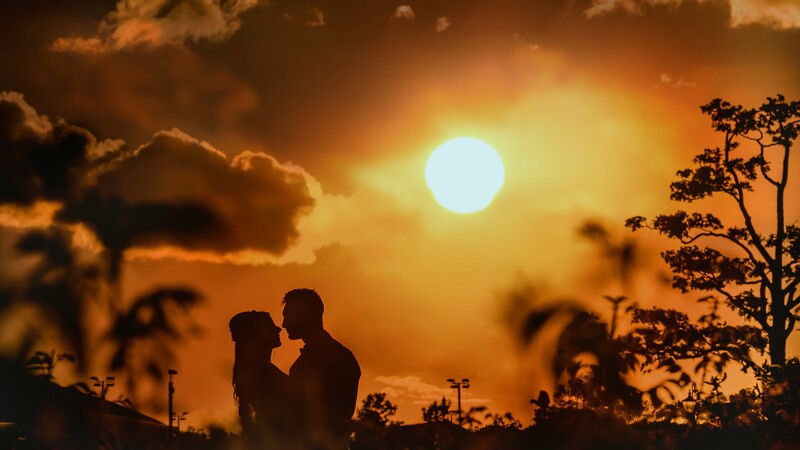 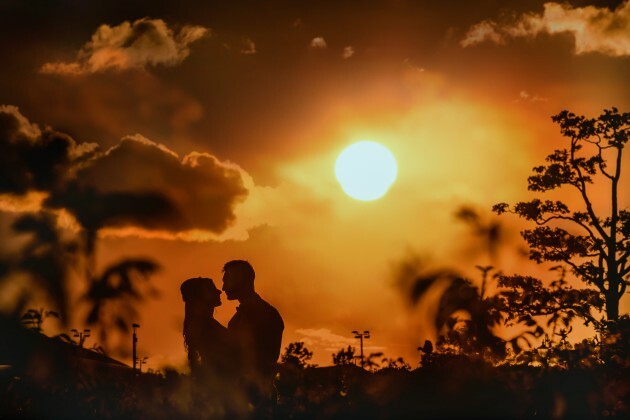 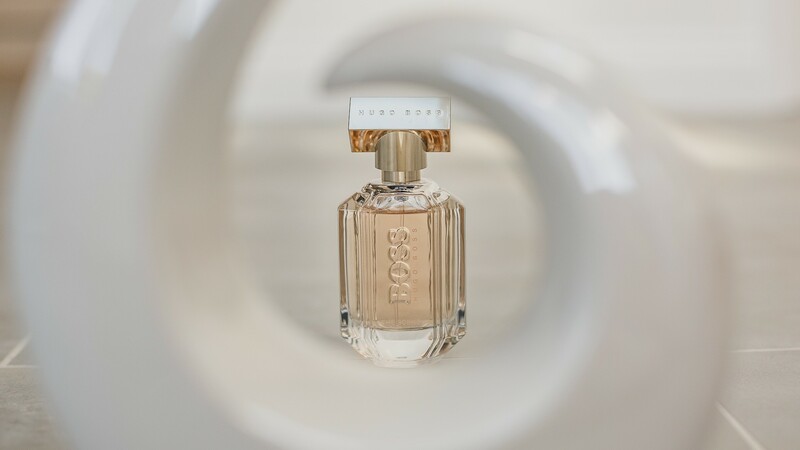 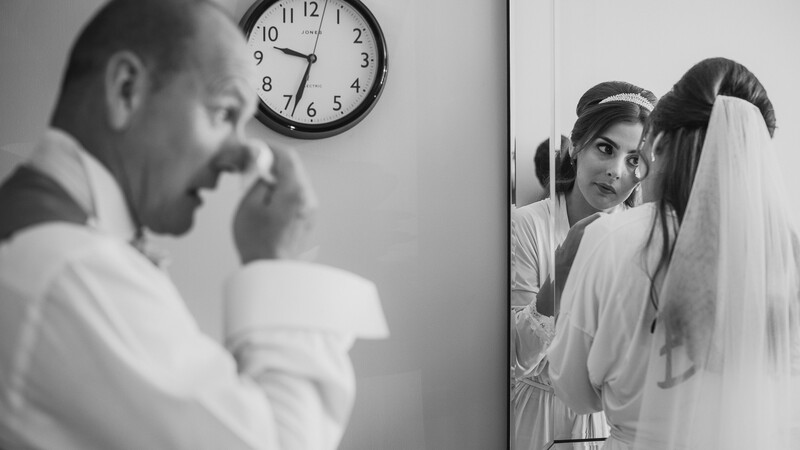 We really loved their clean style of the photography, which created timeless photos for our special wedding photo album. 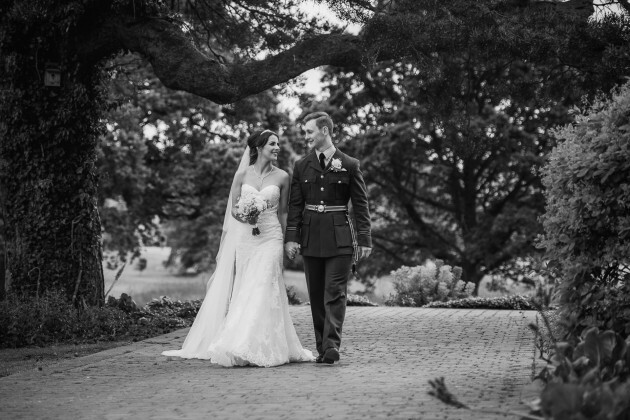 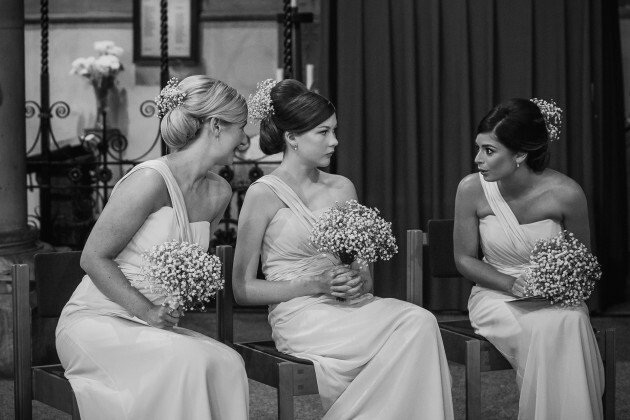 We love looking through our photos and reliving our wedding day. 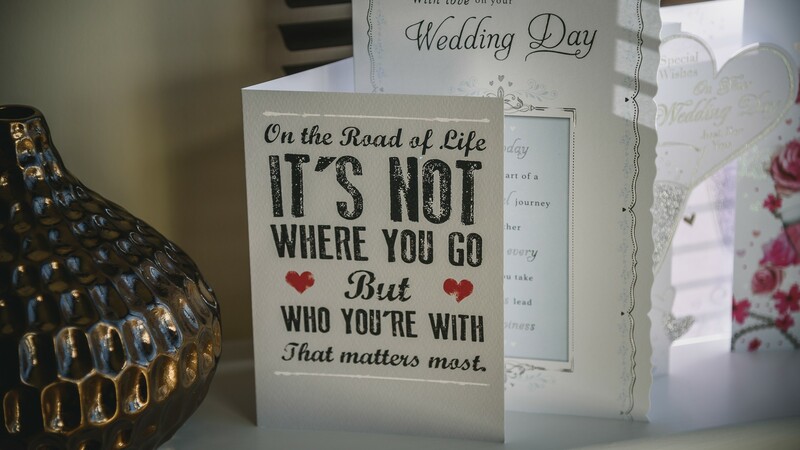 We highly recommend!!" 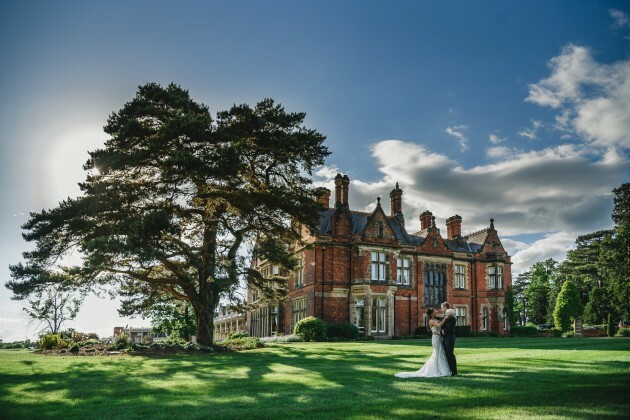 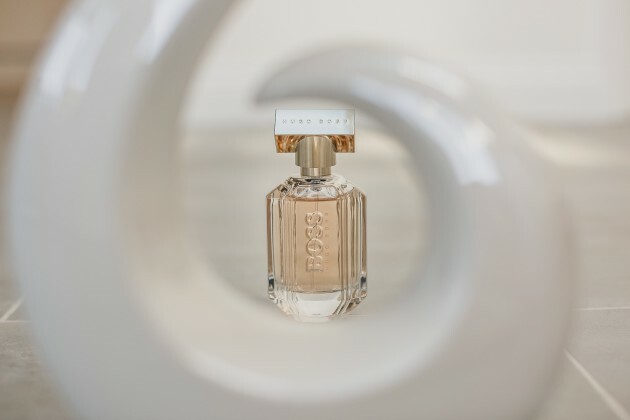 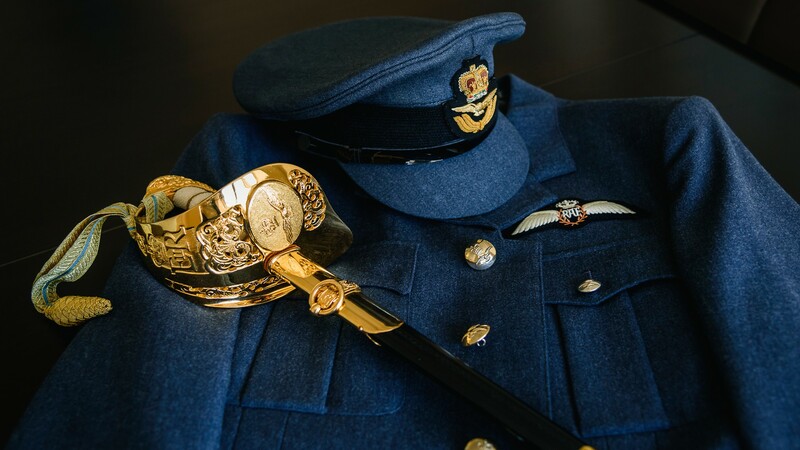 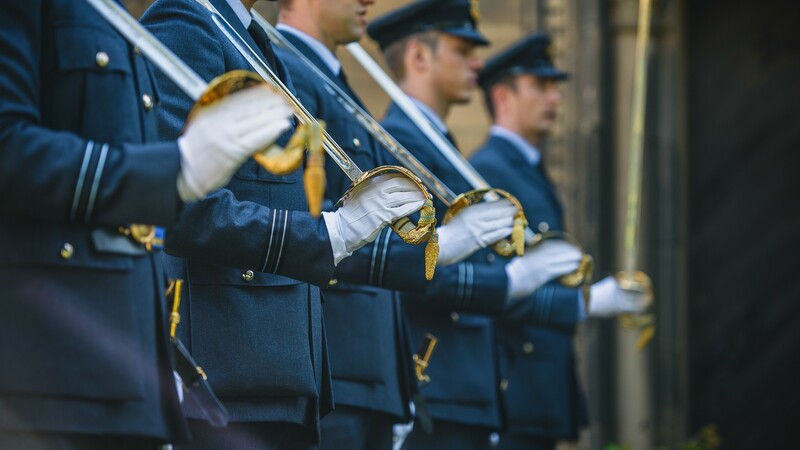 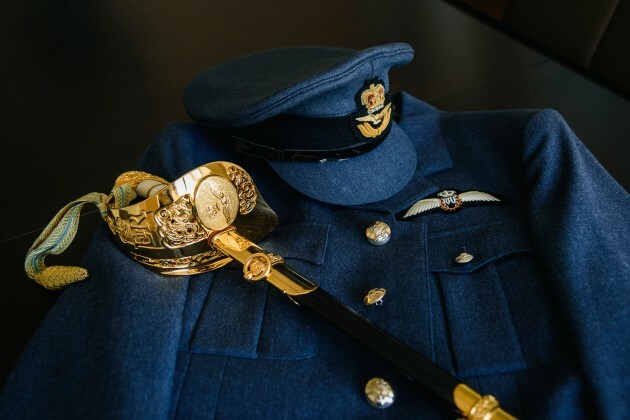 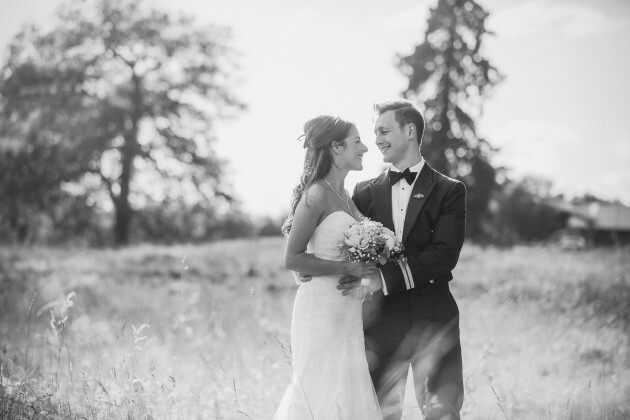 If you would like to see more of our photography at Rockliffe Hall, follow the link to our other blog posts. 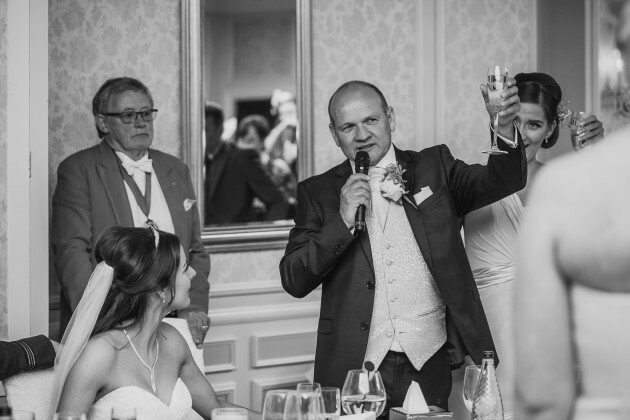 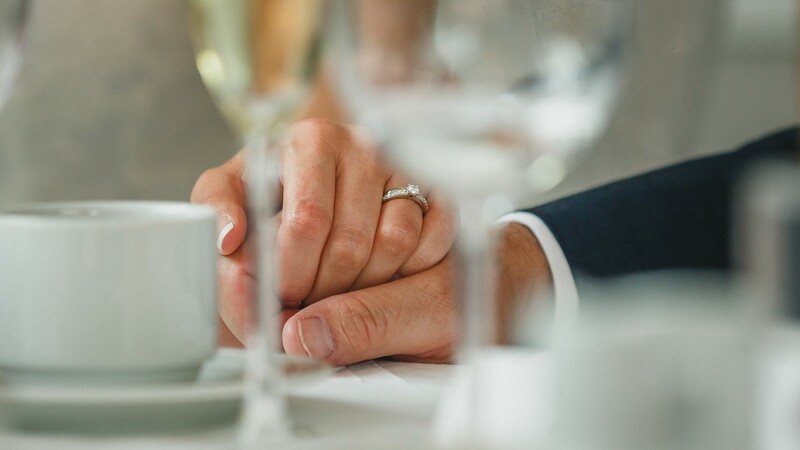 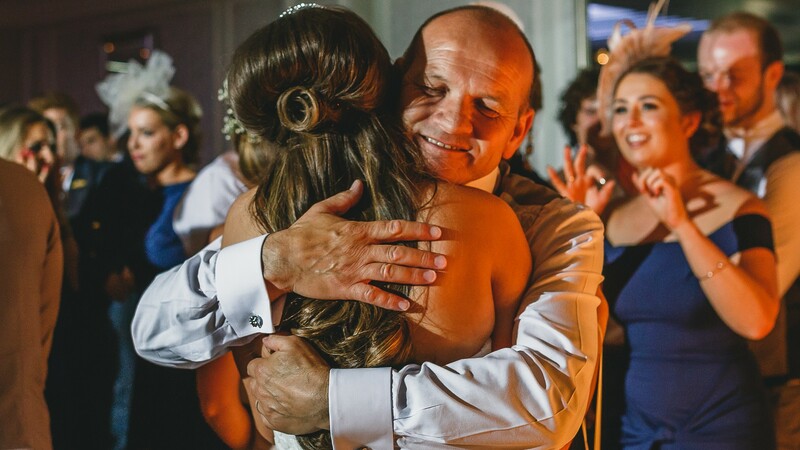 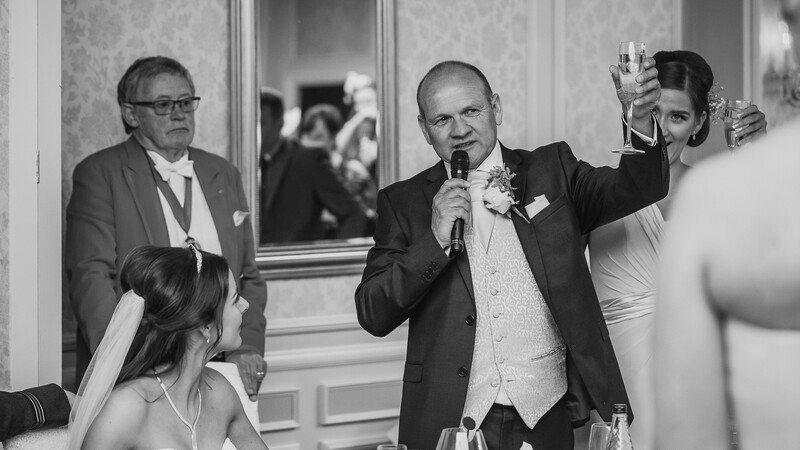 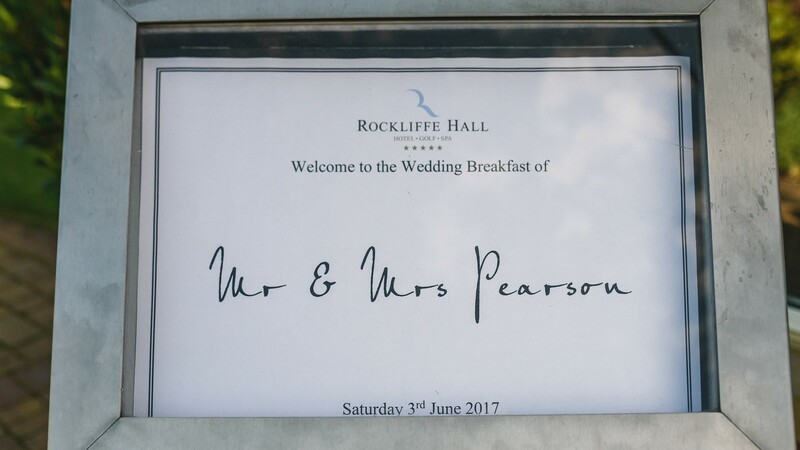 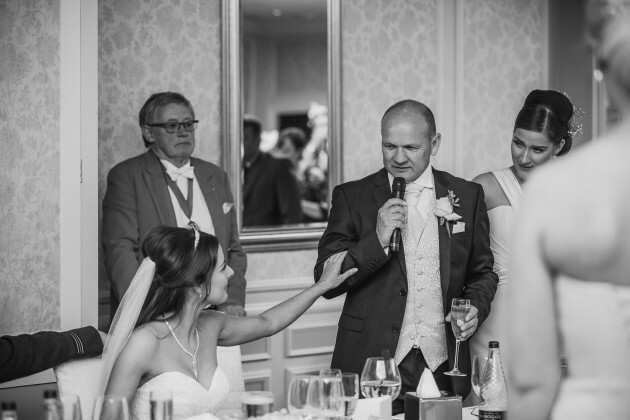 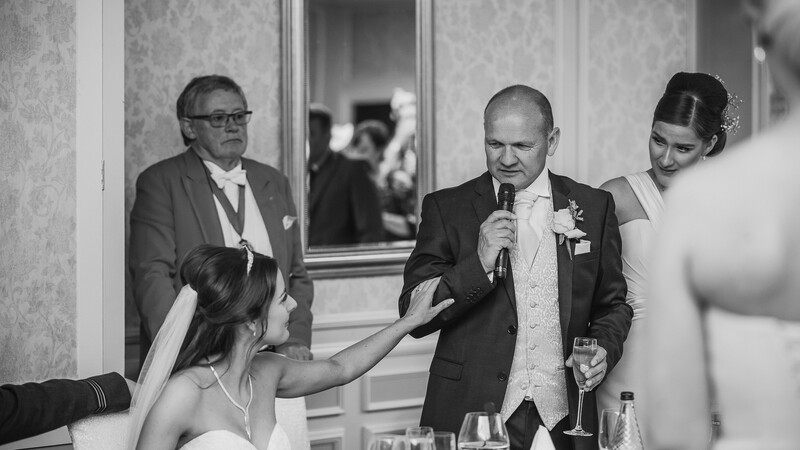 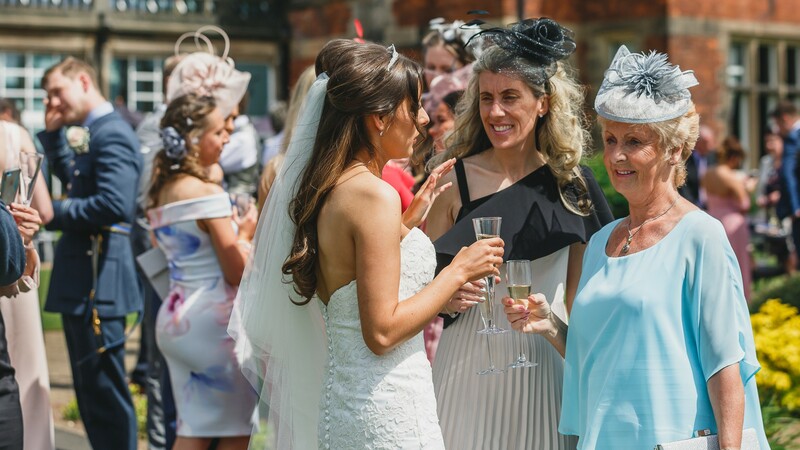 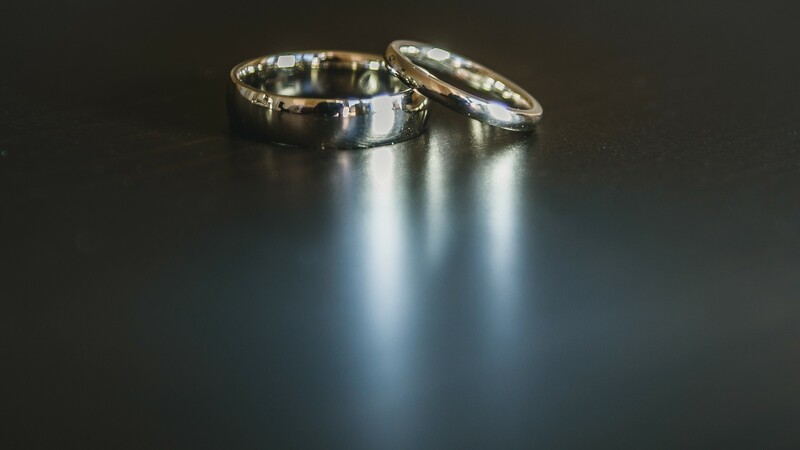 If you would like us to provide a no-obligation quote for your Rockliffe Hall wedding, please get in touch here.